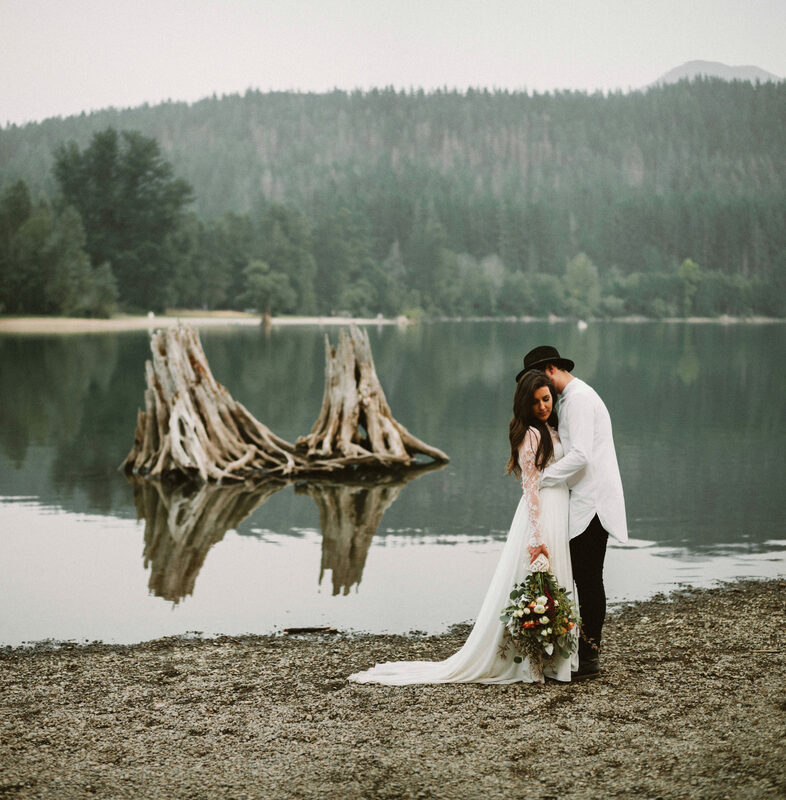 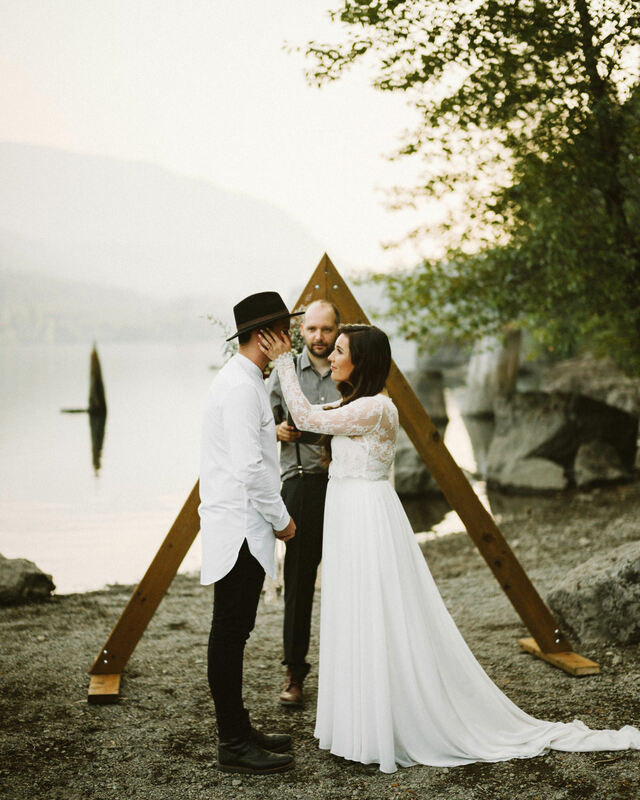 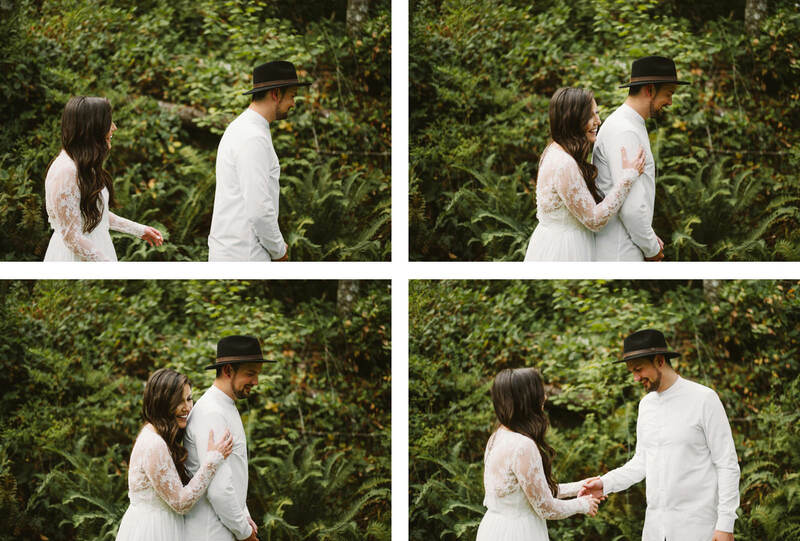 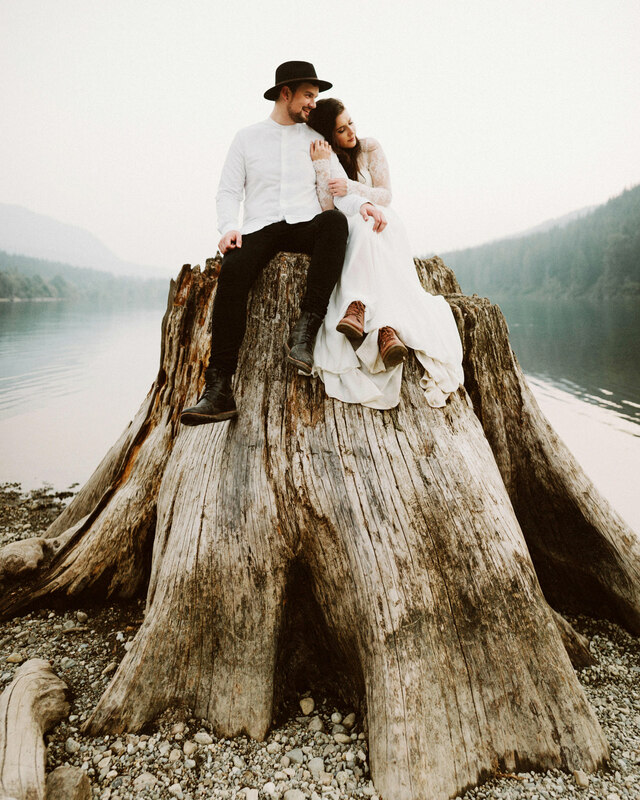 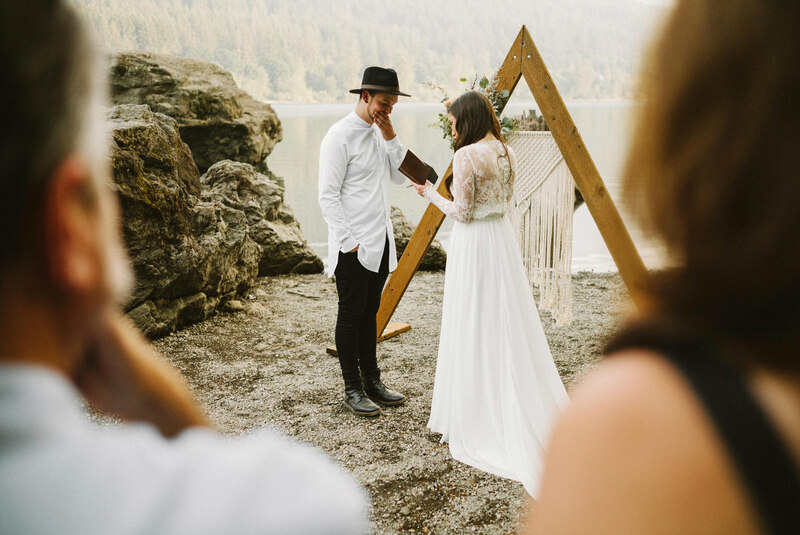 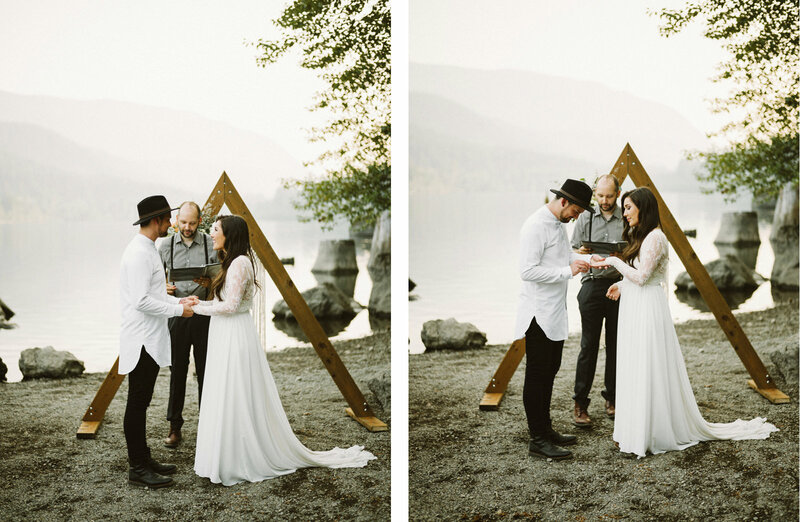 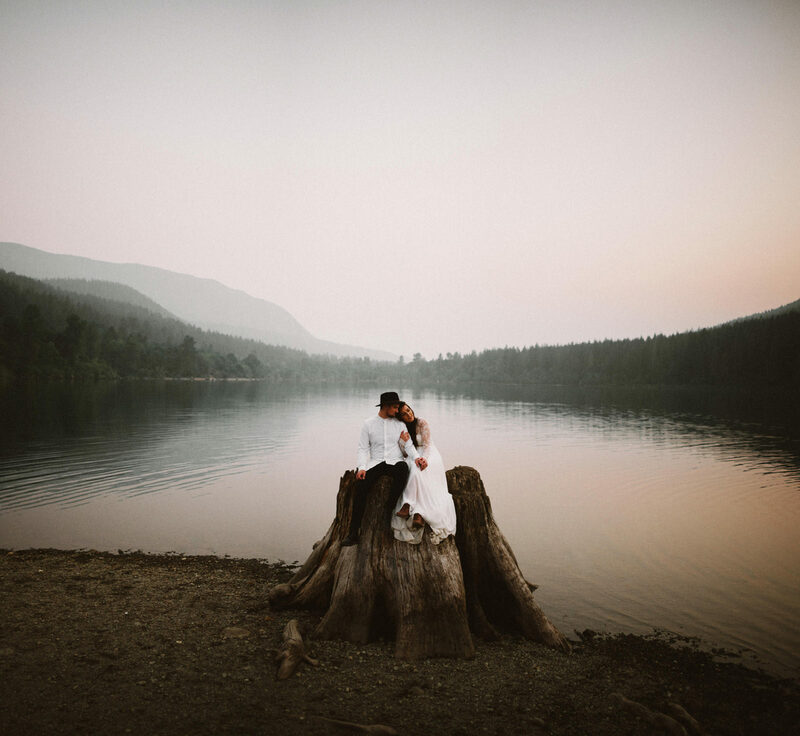 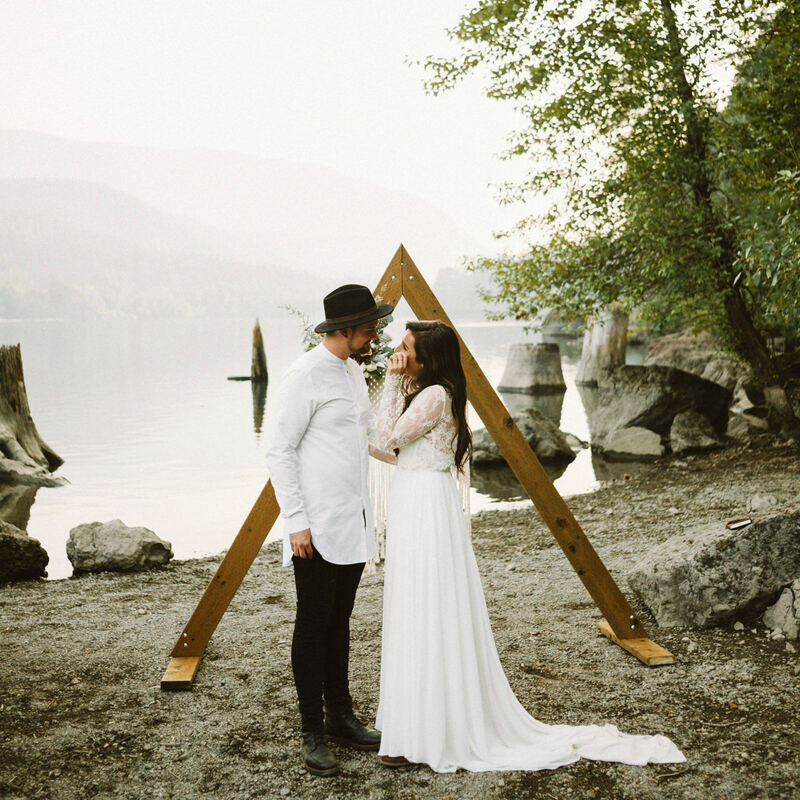 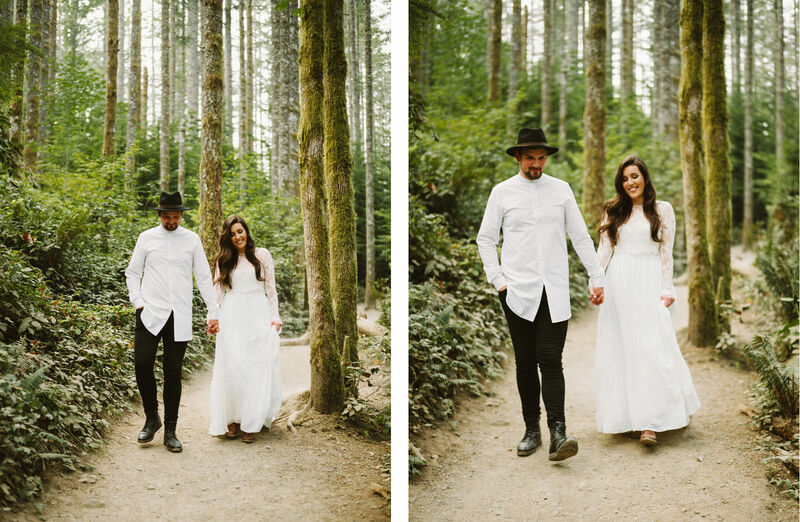 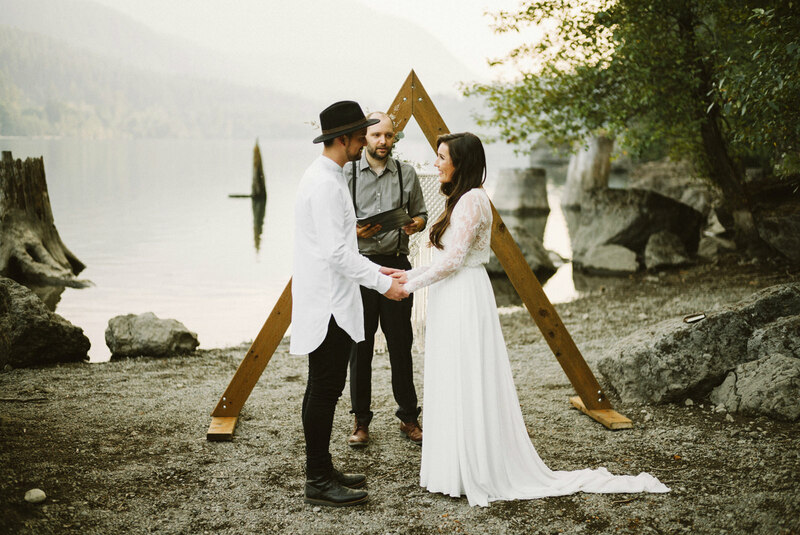 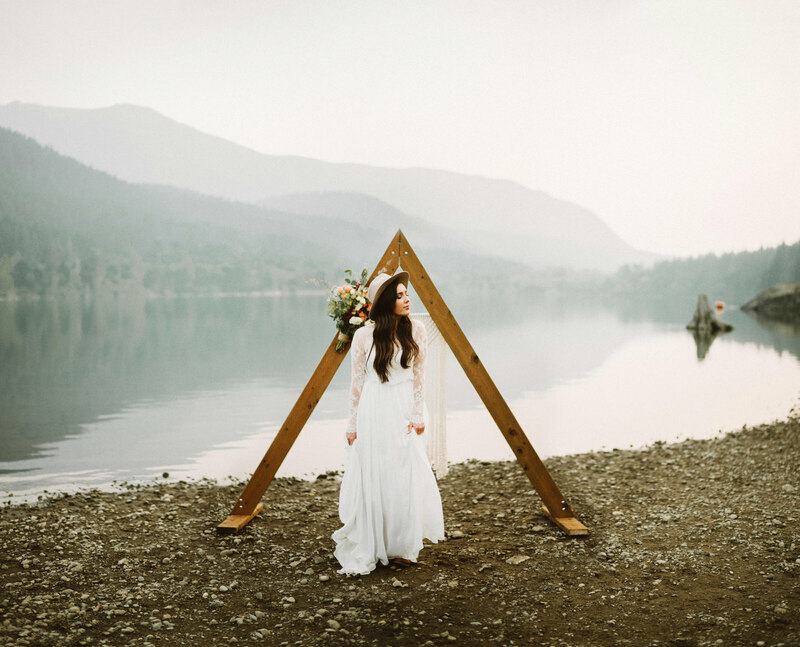 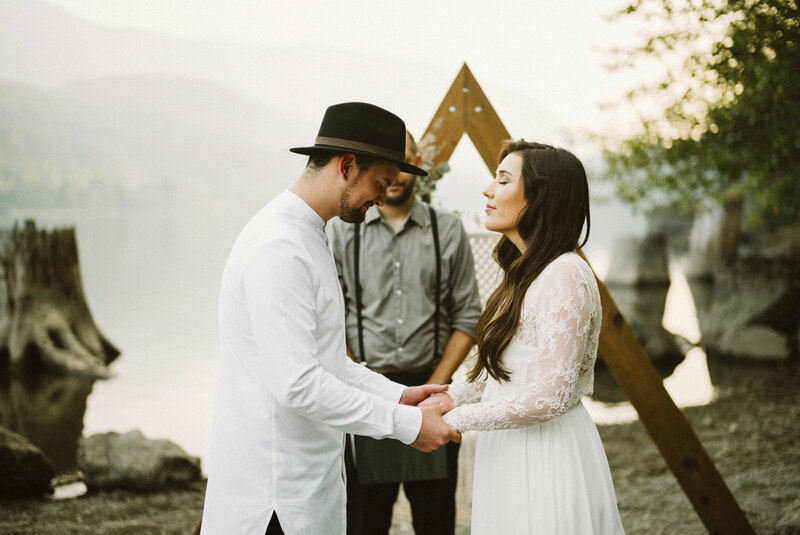 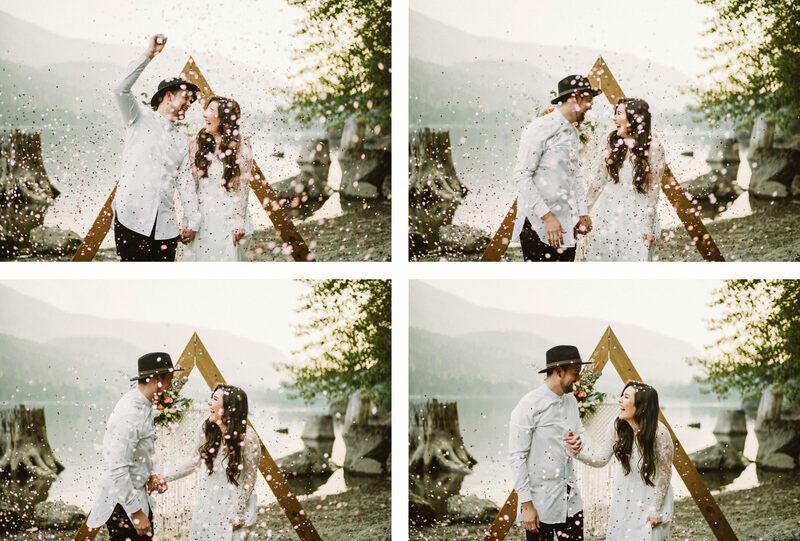 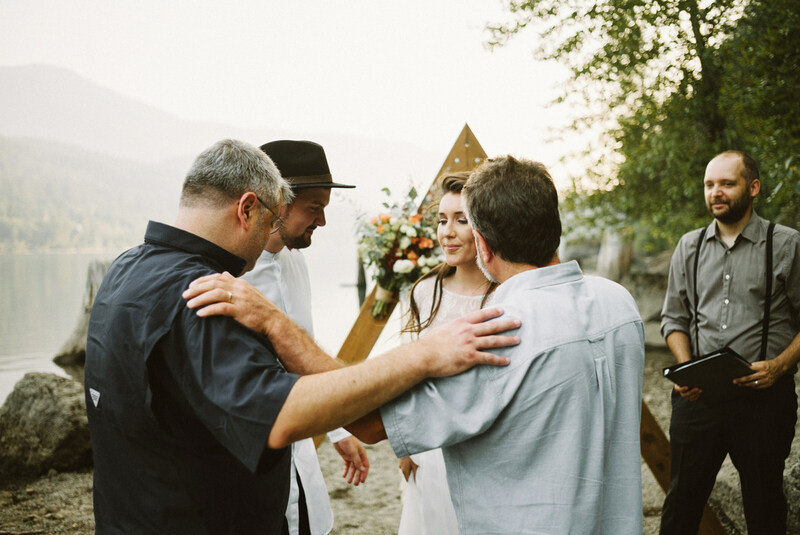 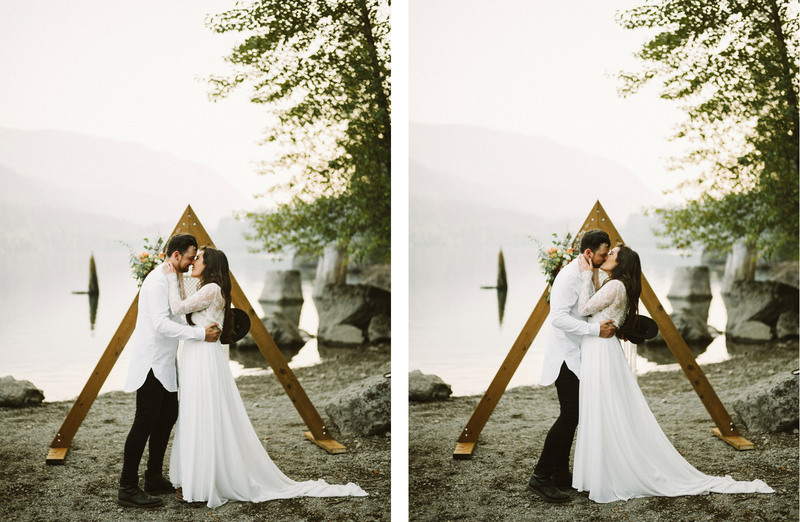 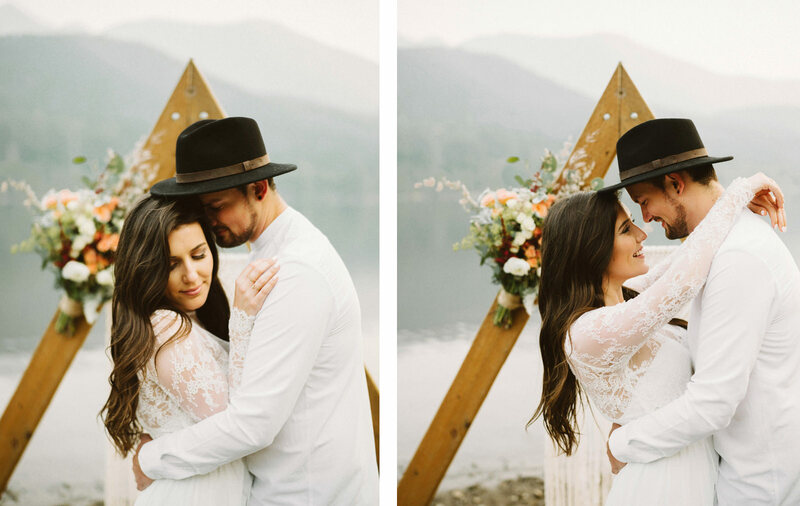 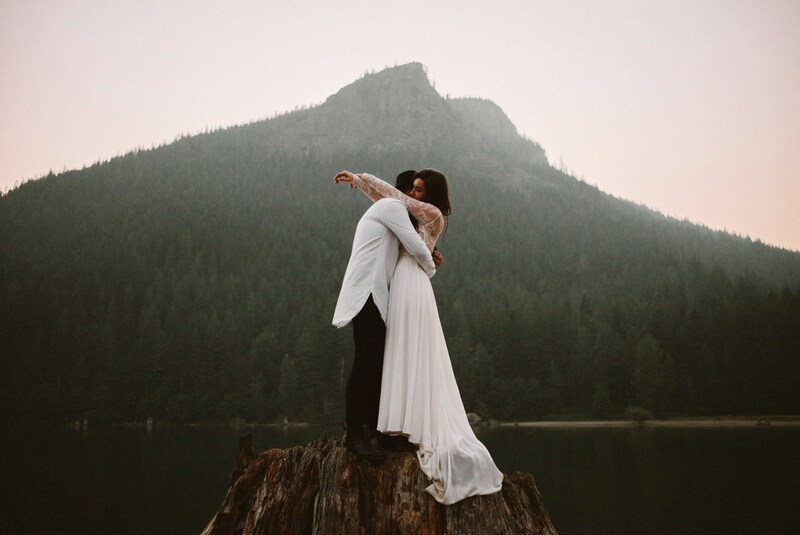 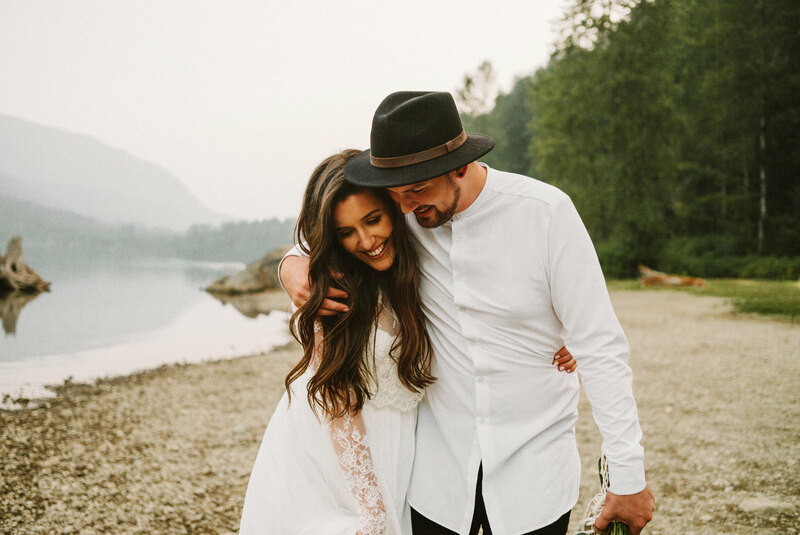 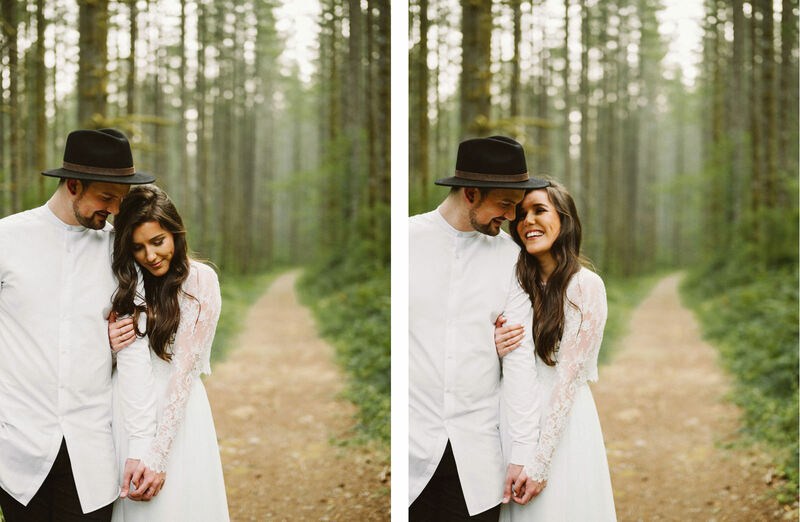 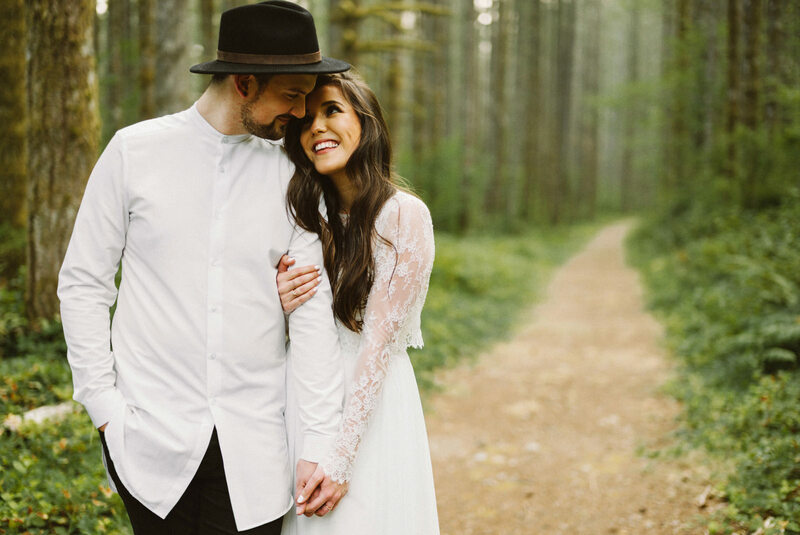 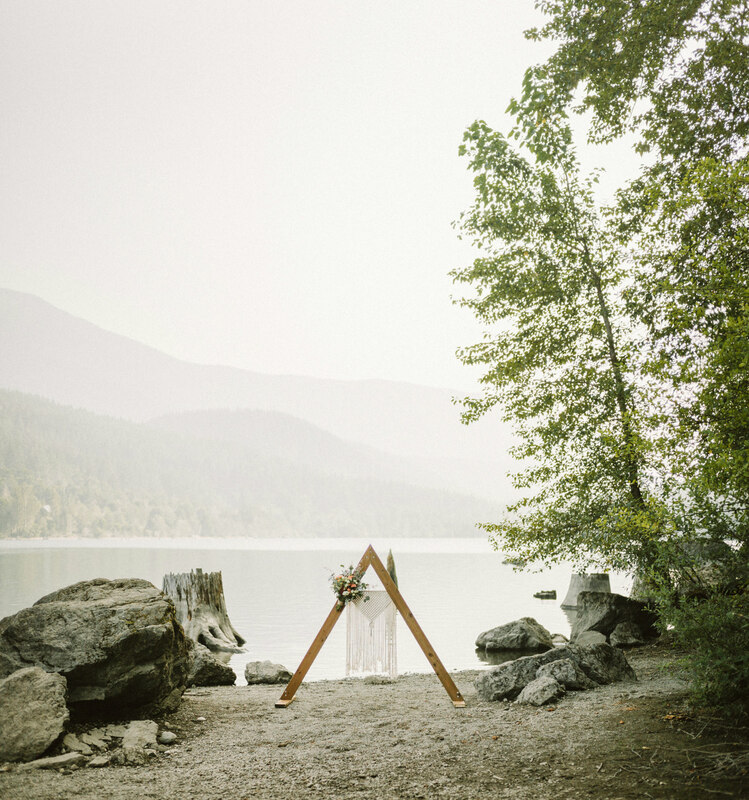 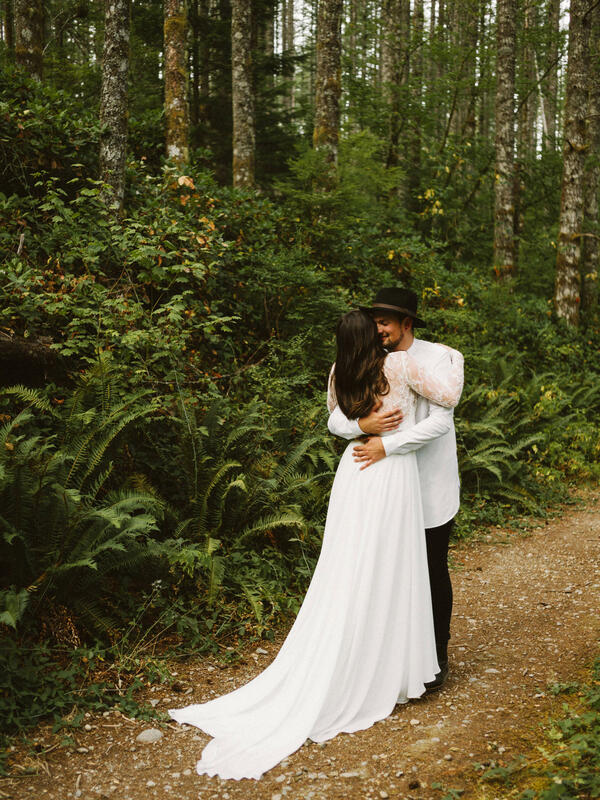 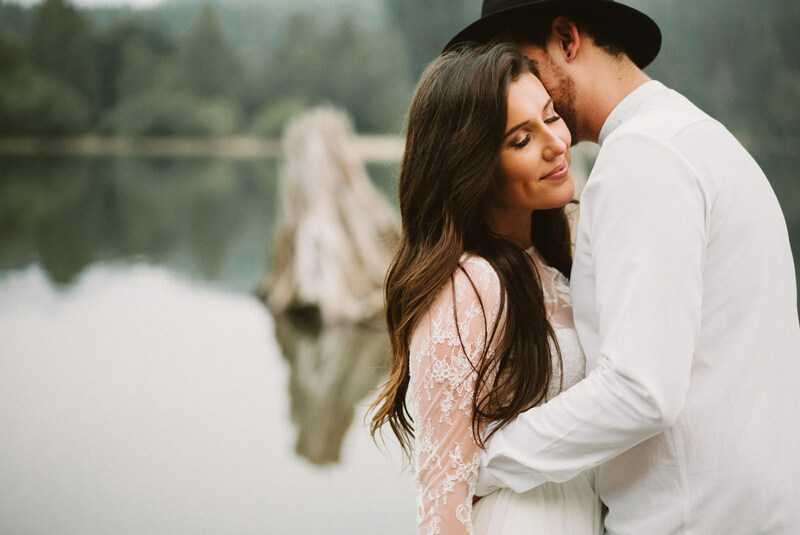 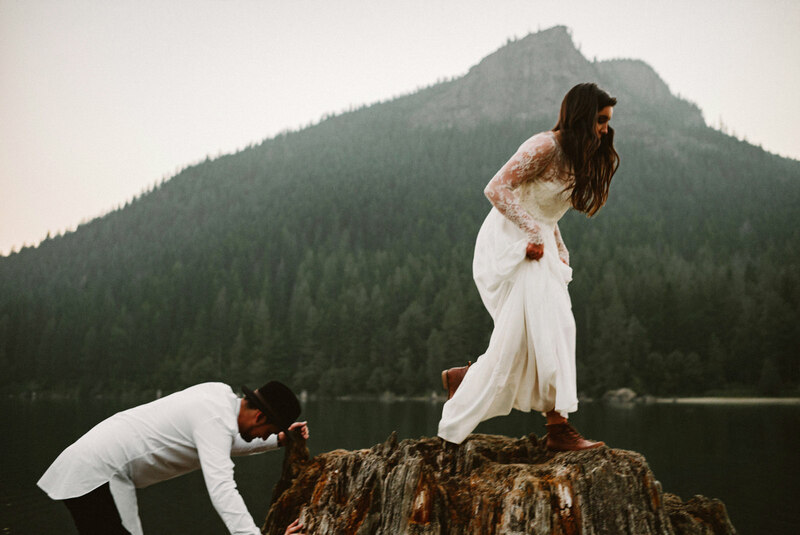 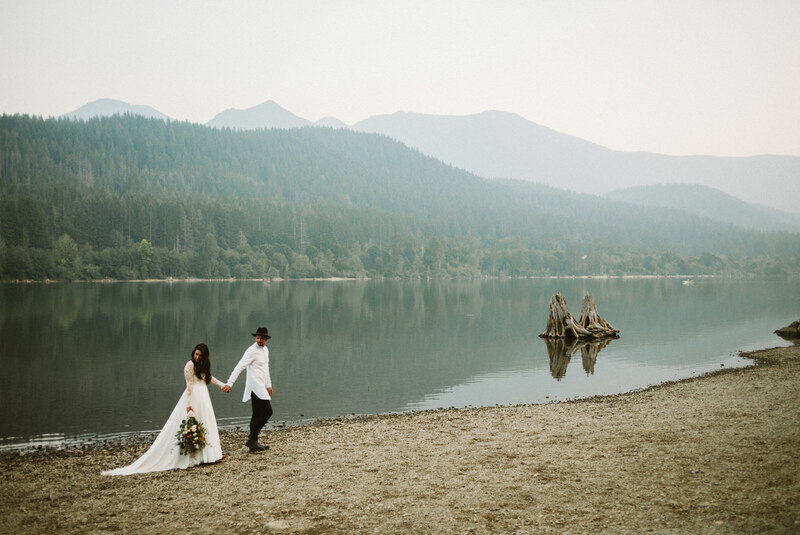 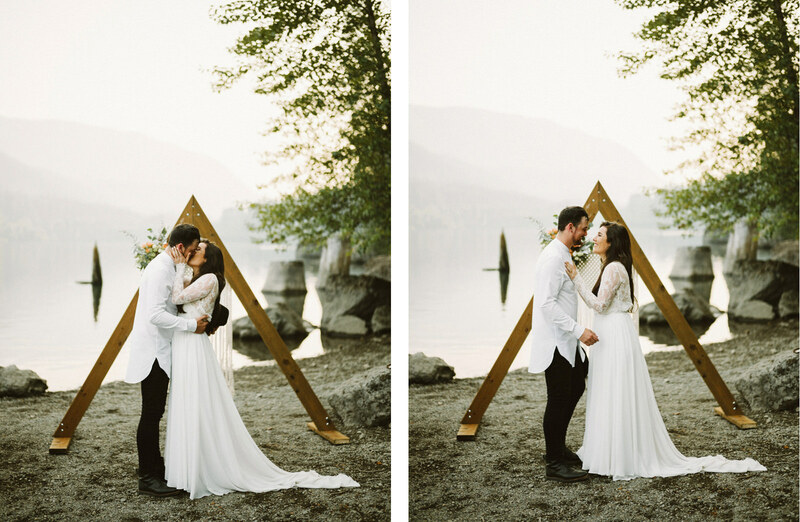 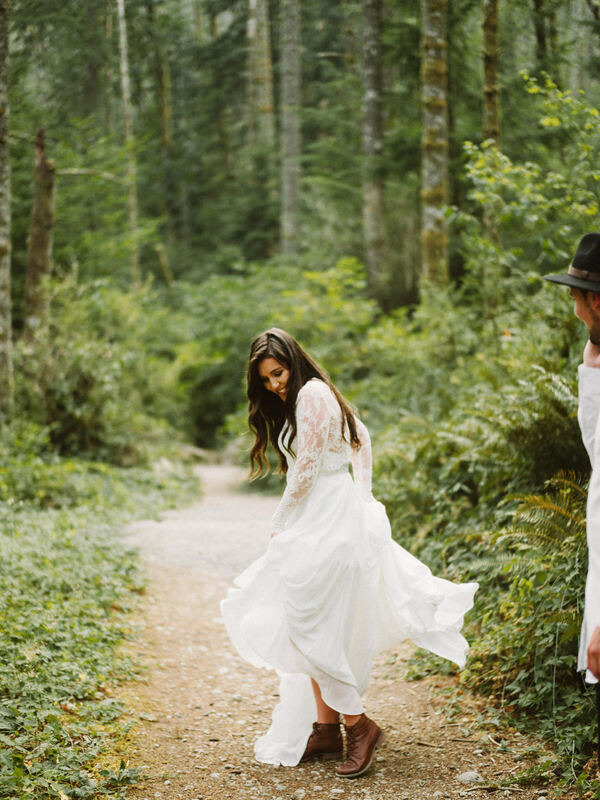 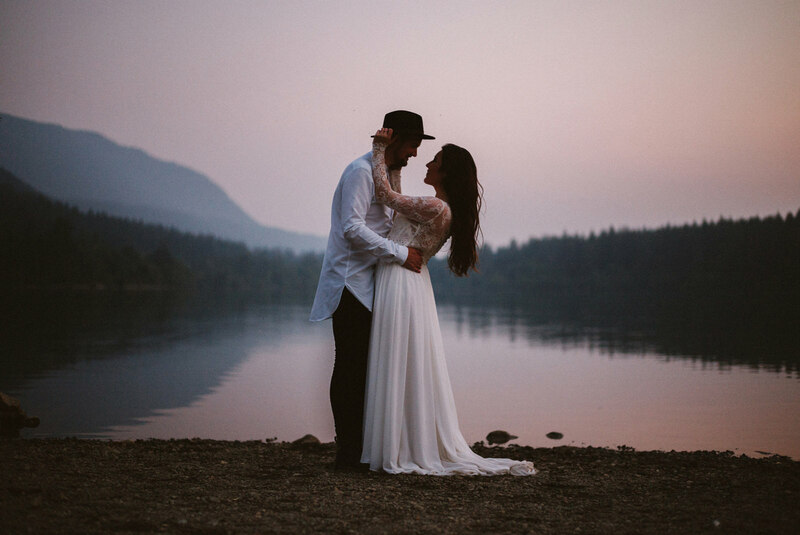 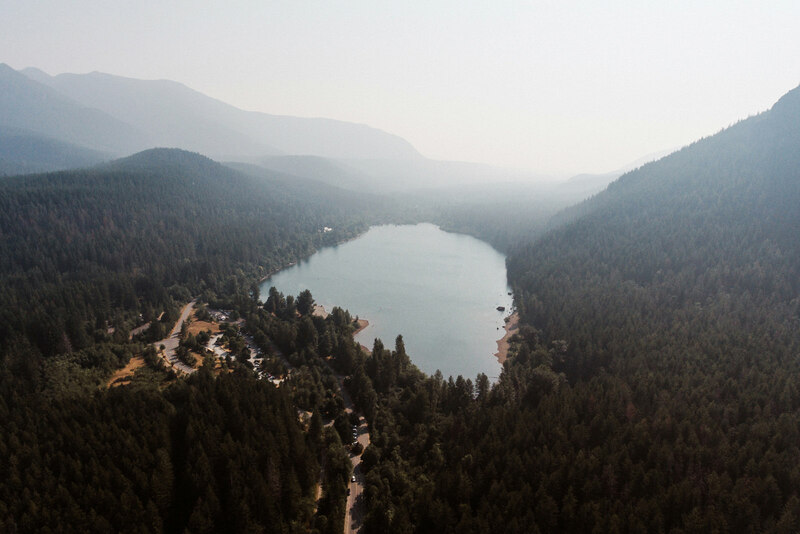 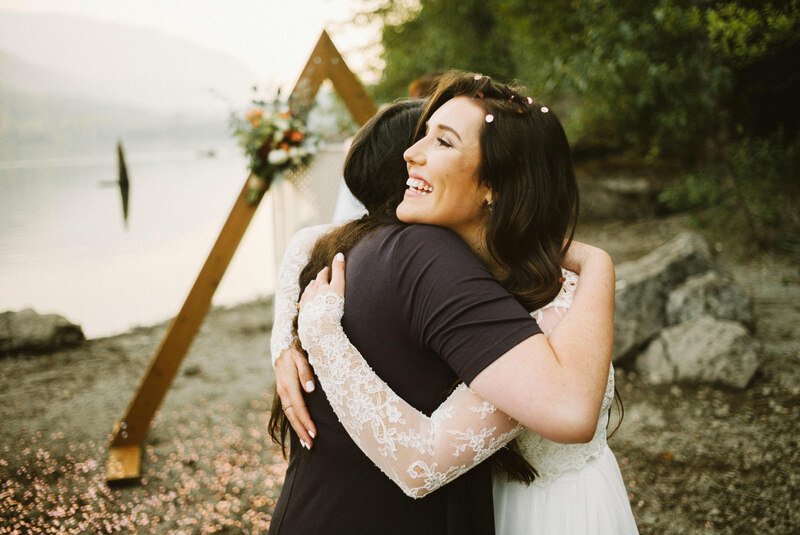 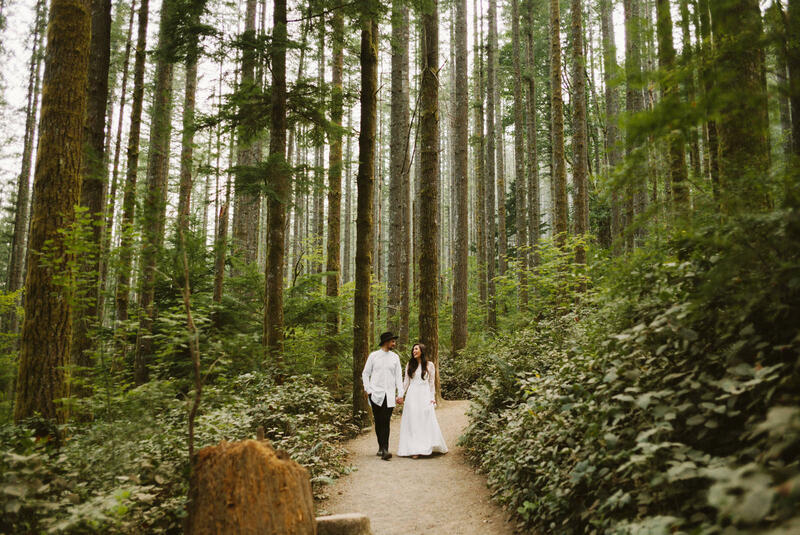 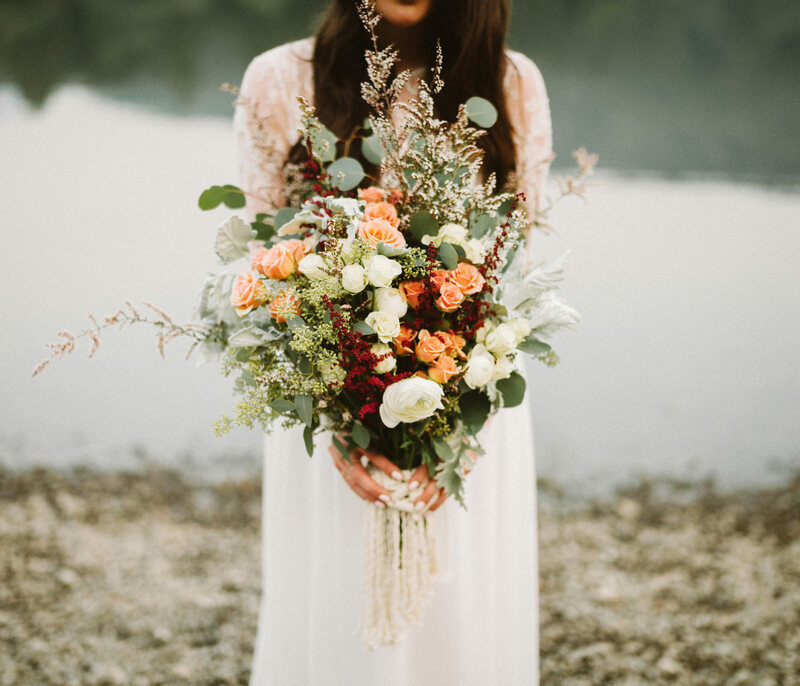 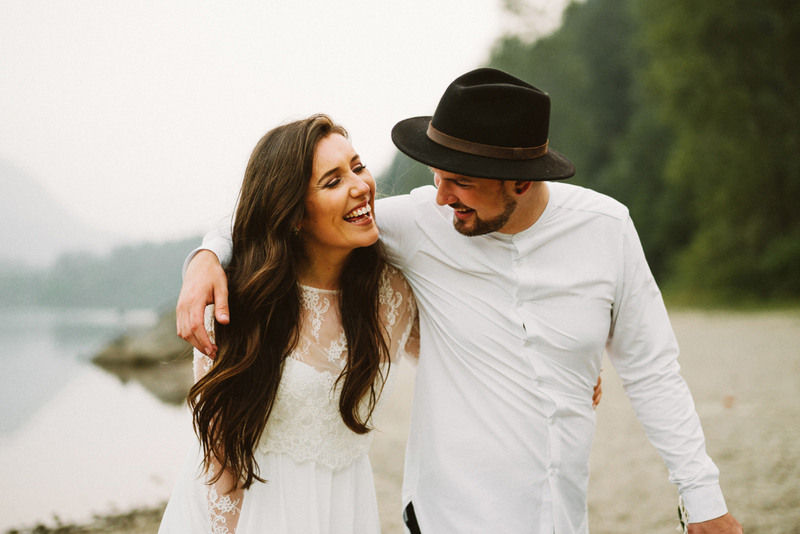 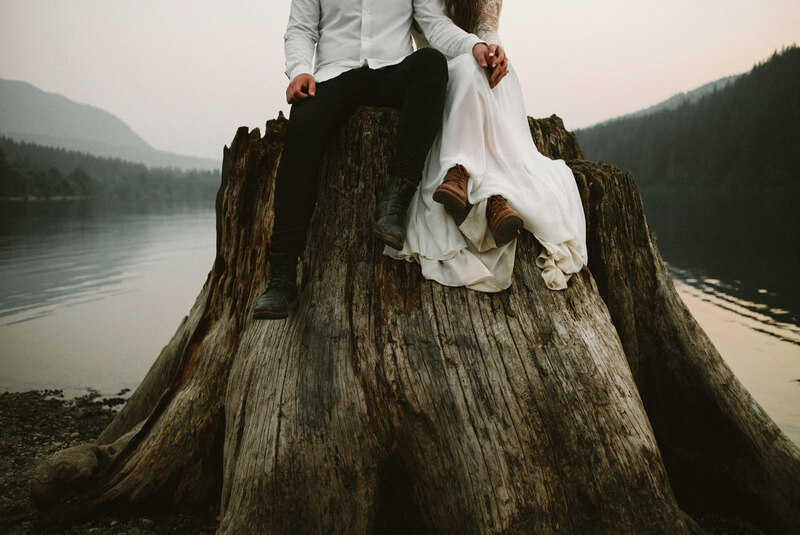 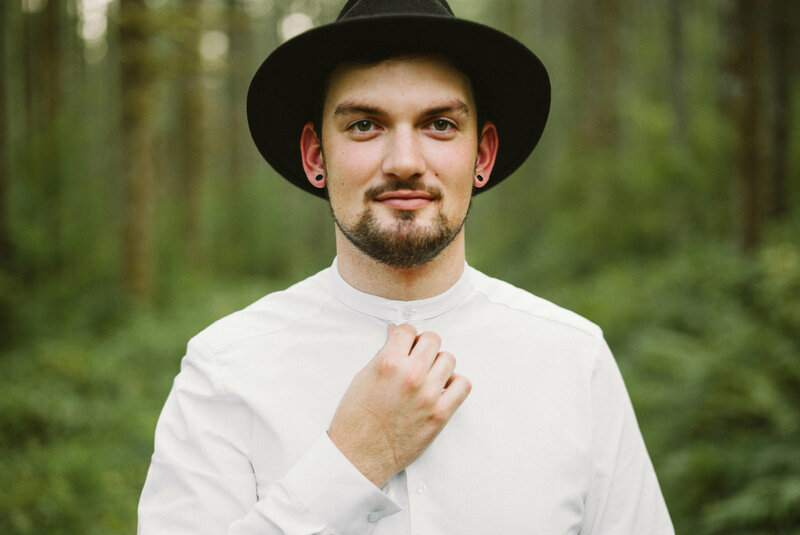 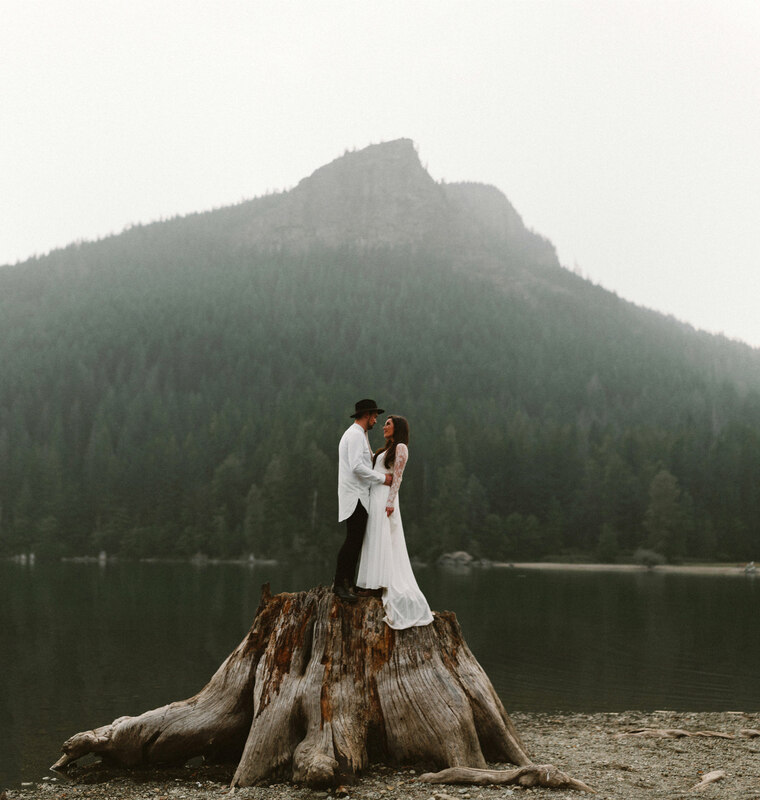 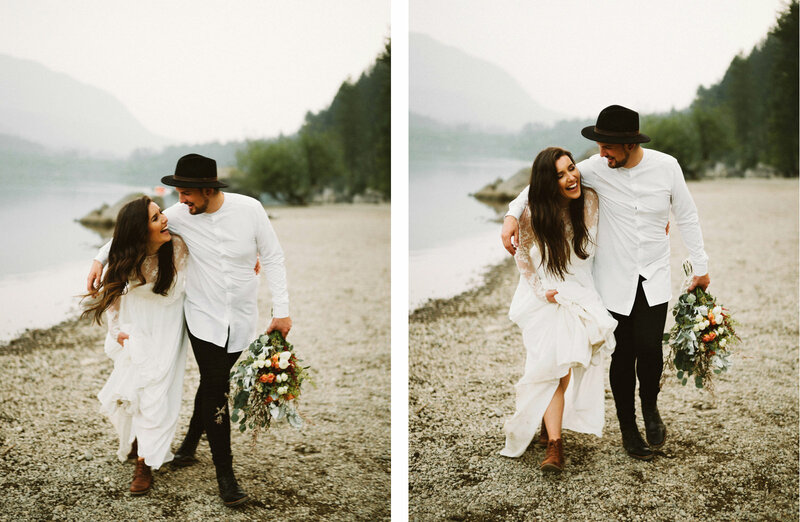 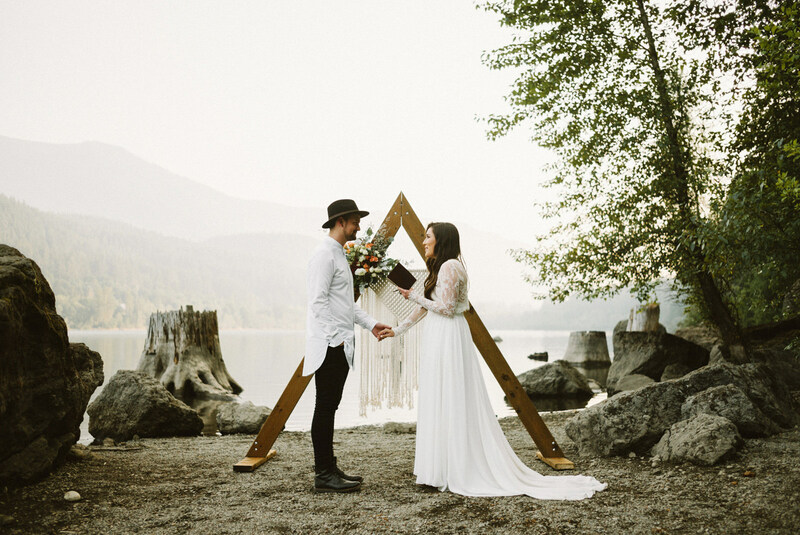 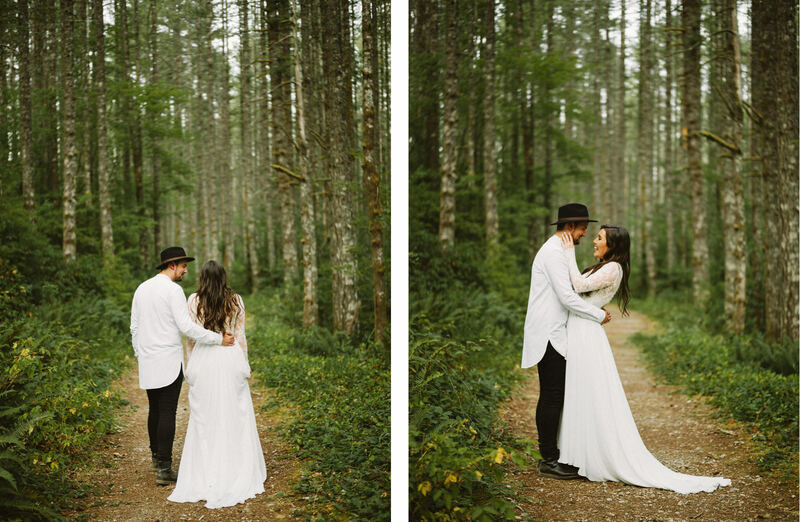 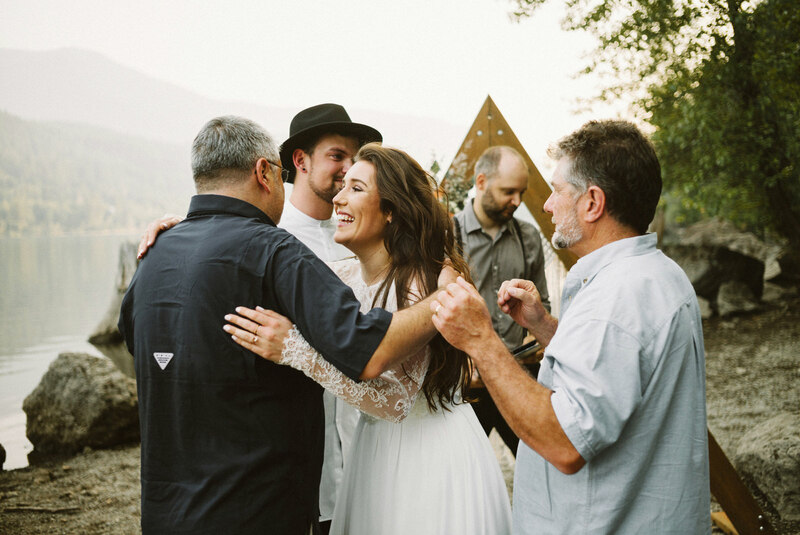 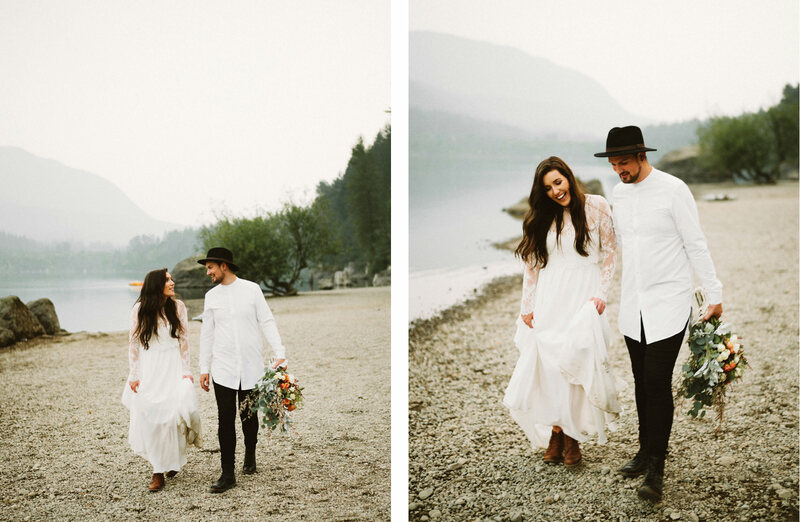 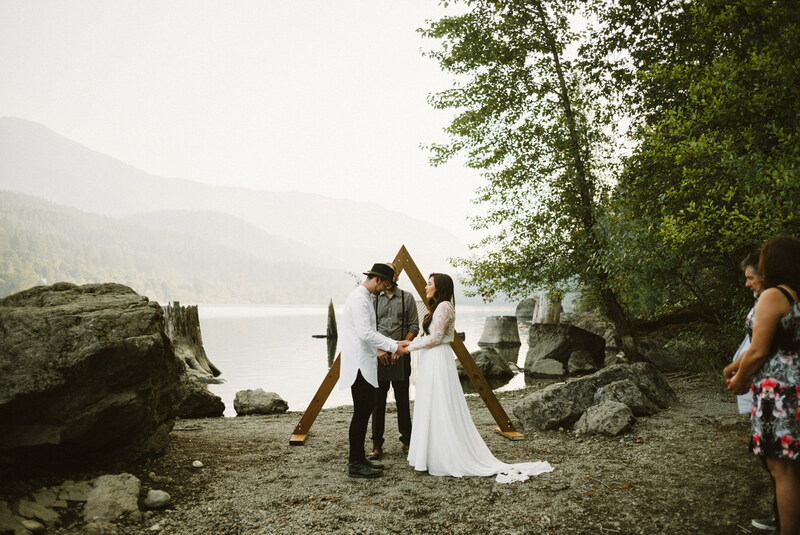 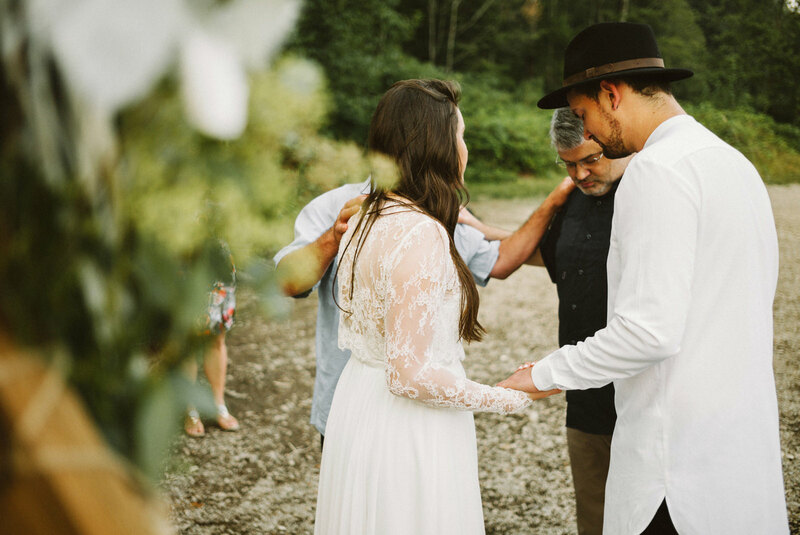 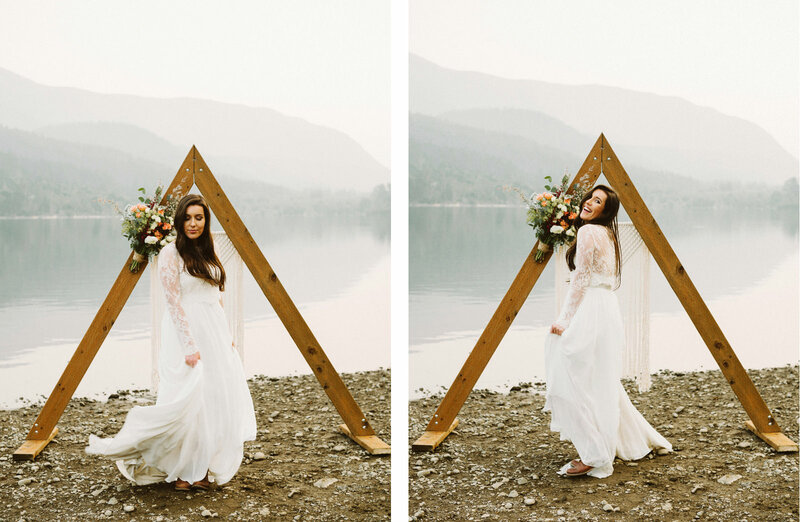 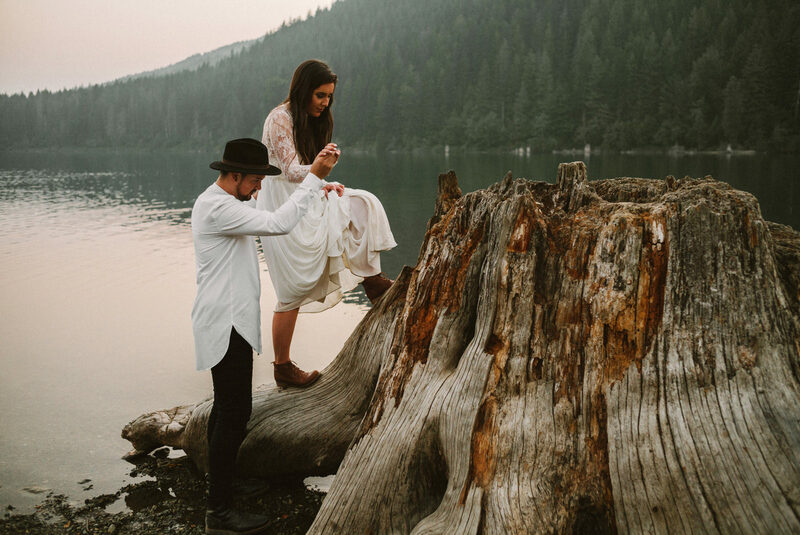 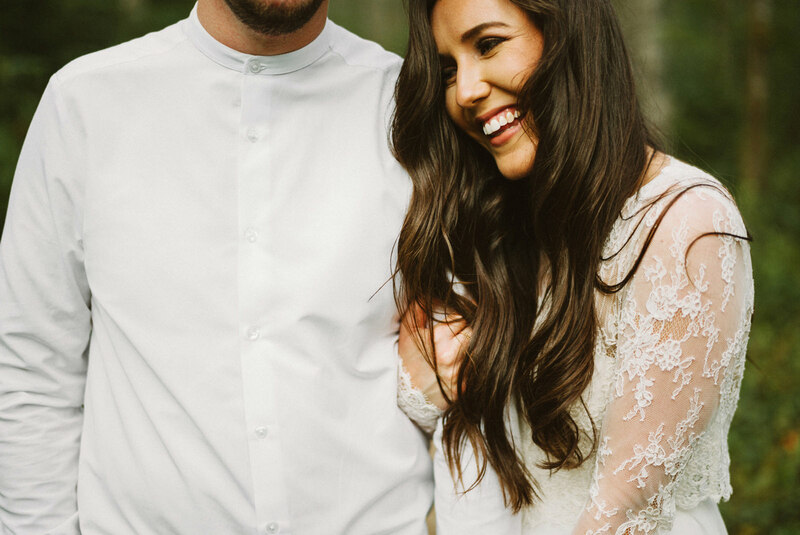 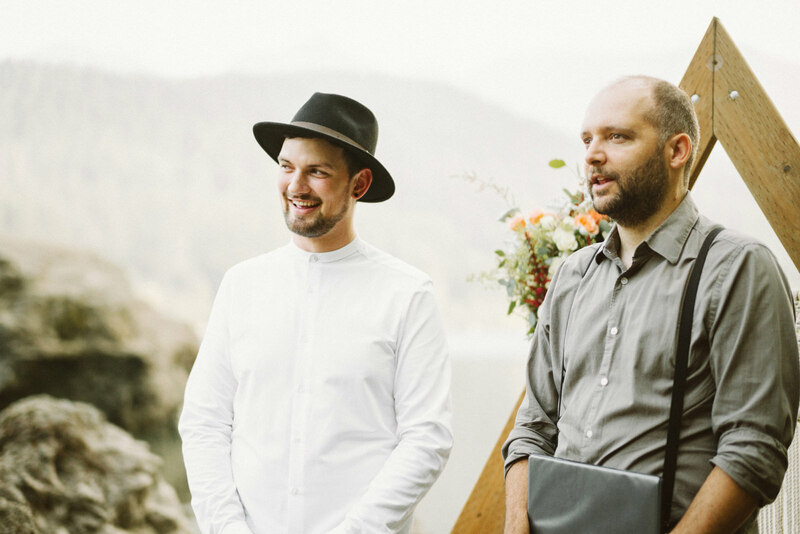 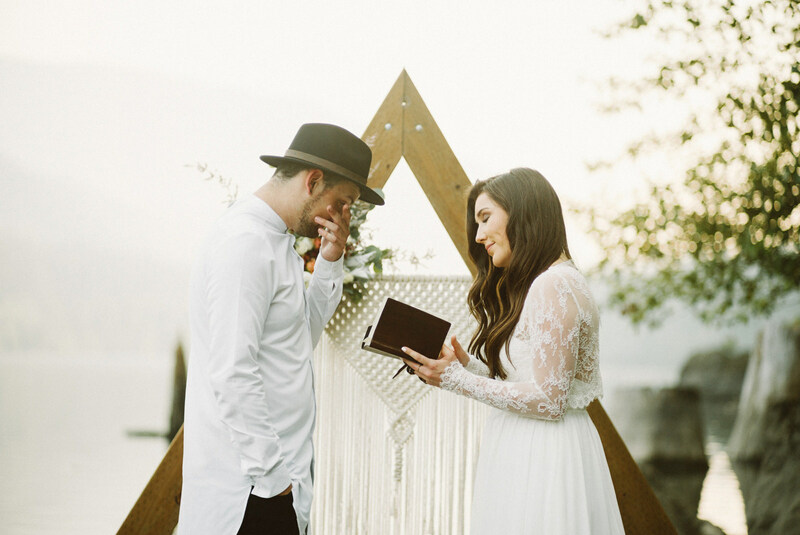 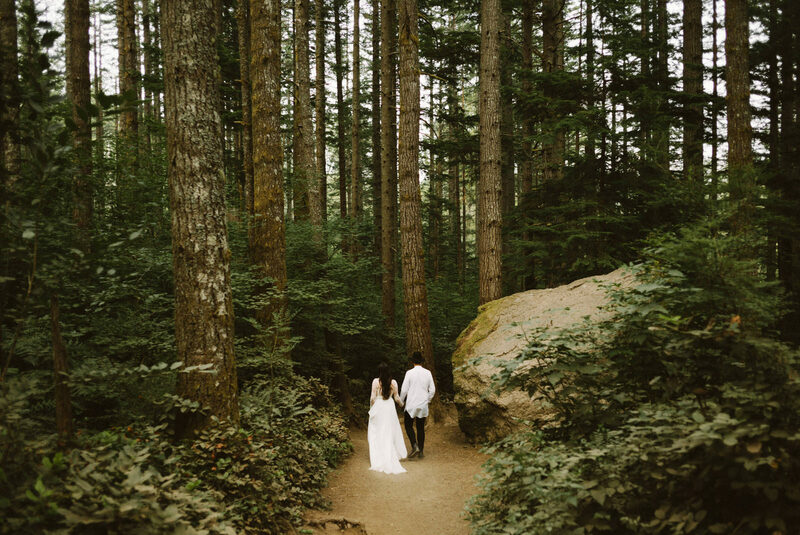 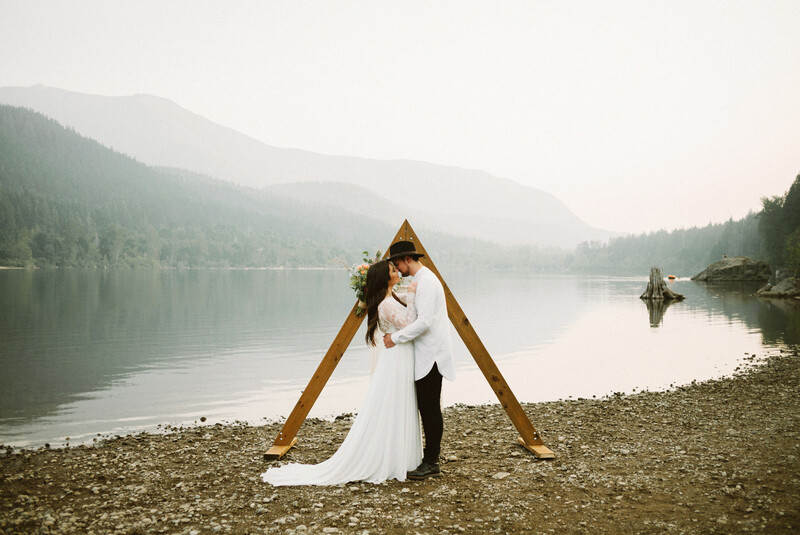 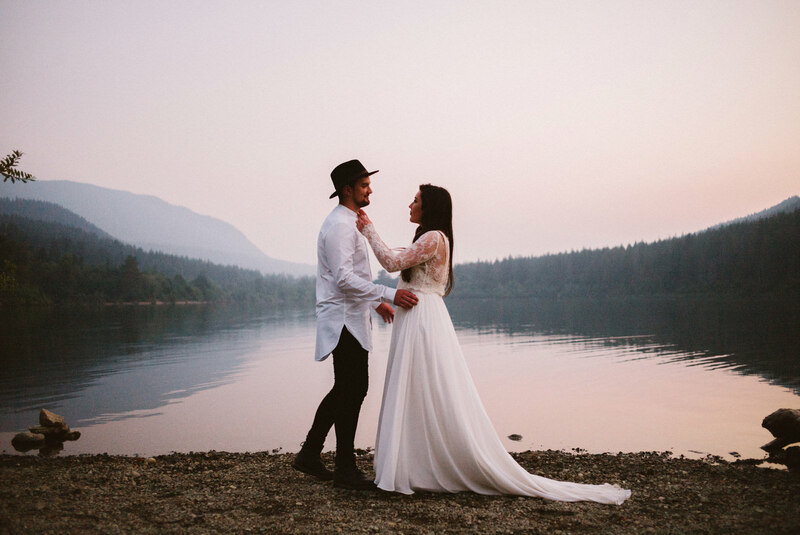 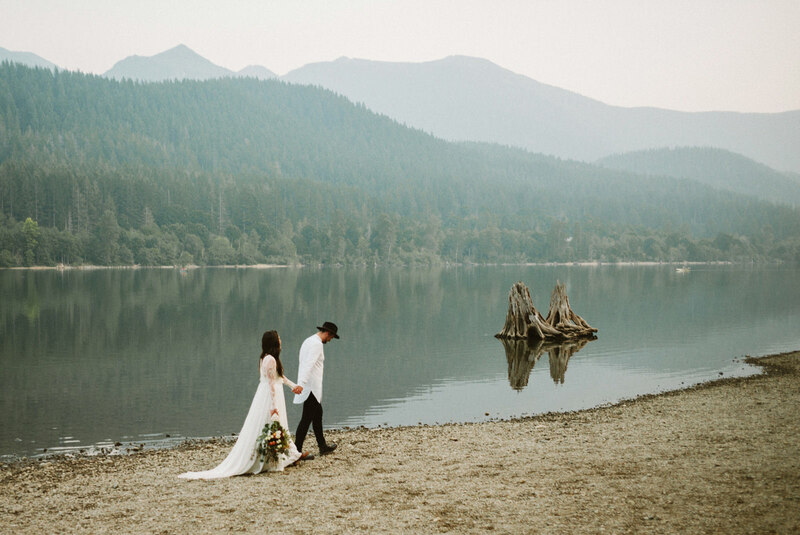 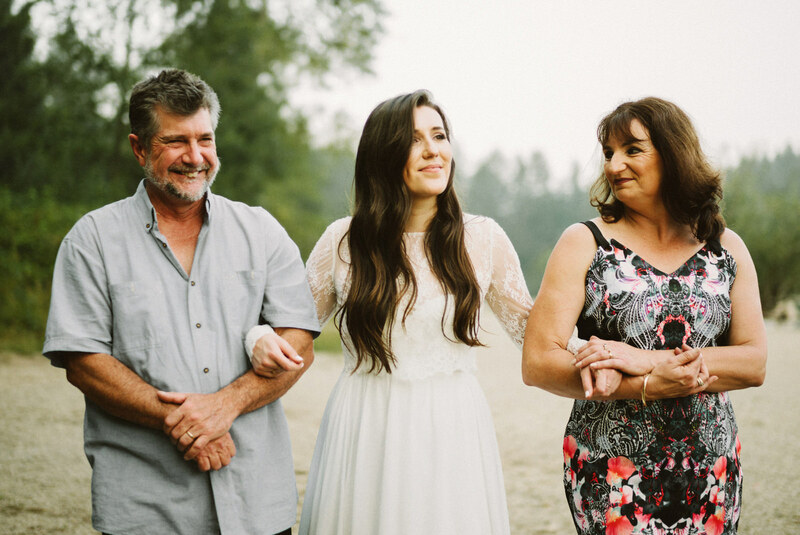 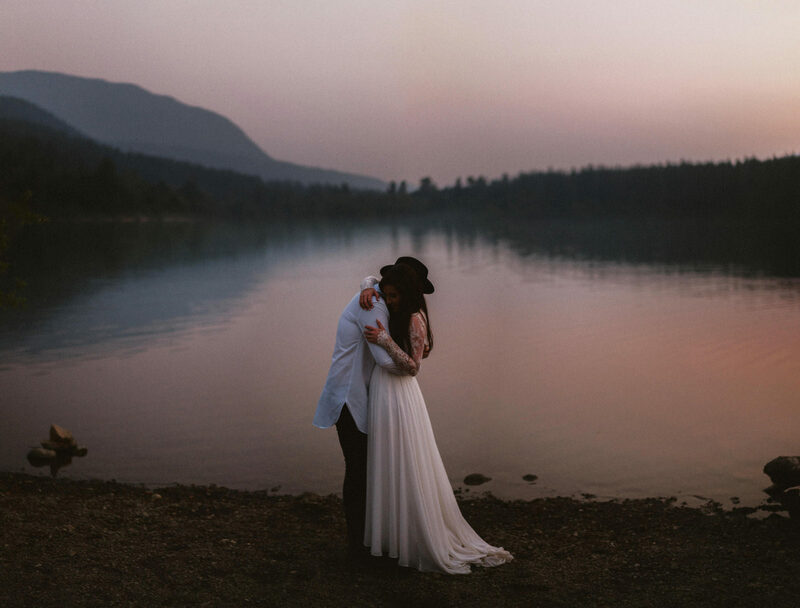 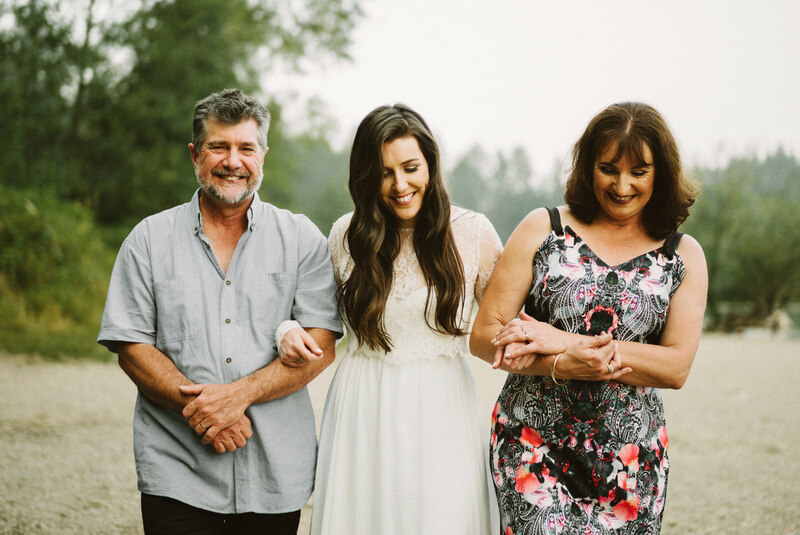 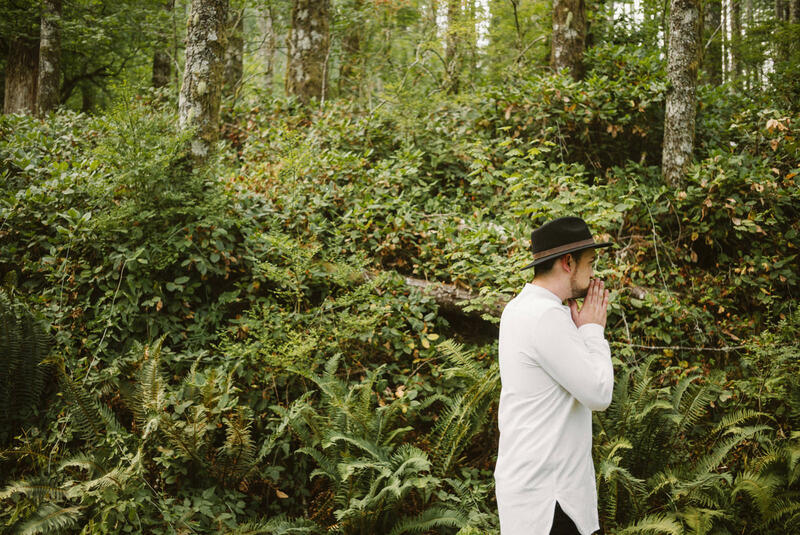 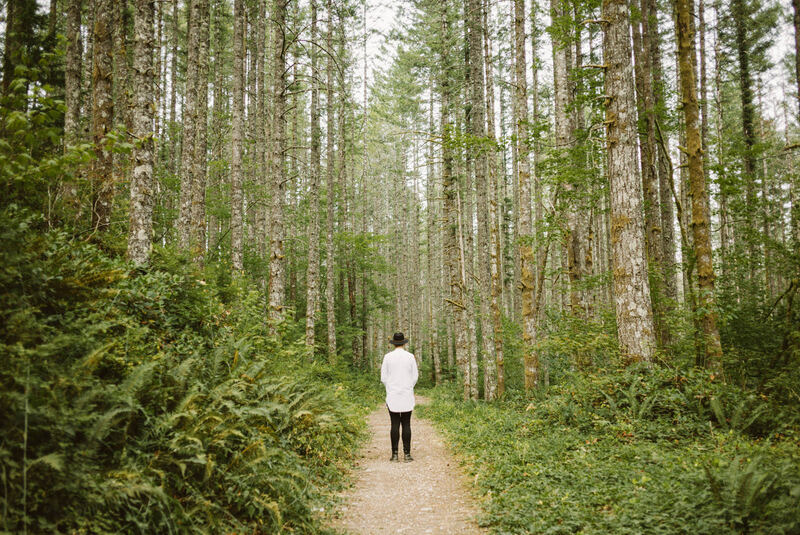 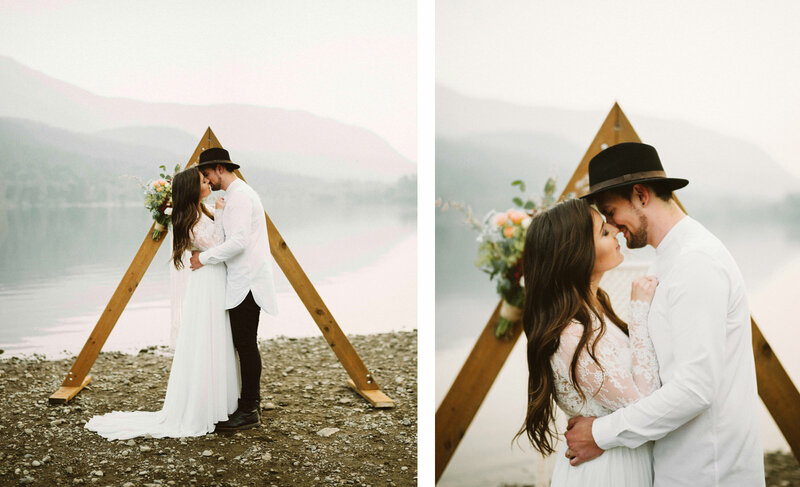 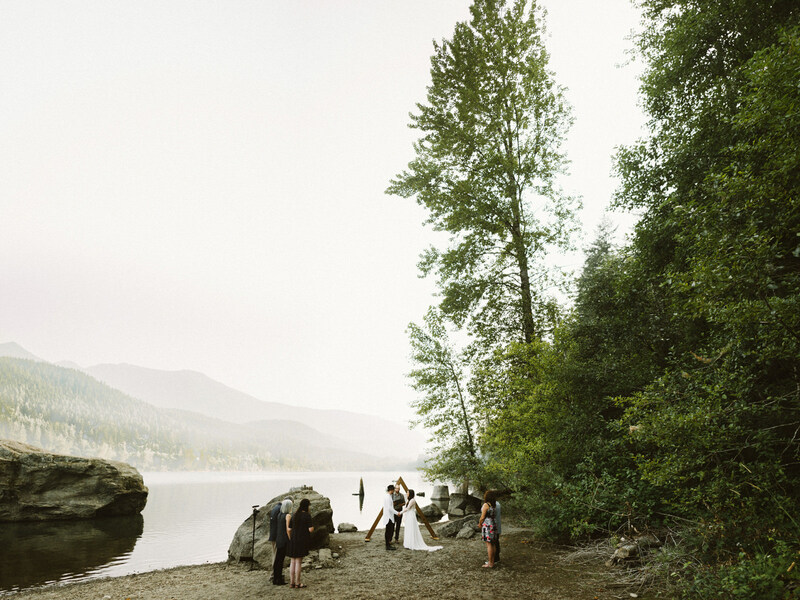 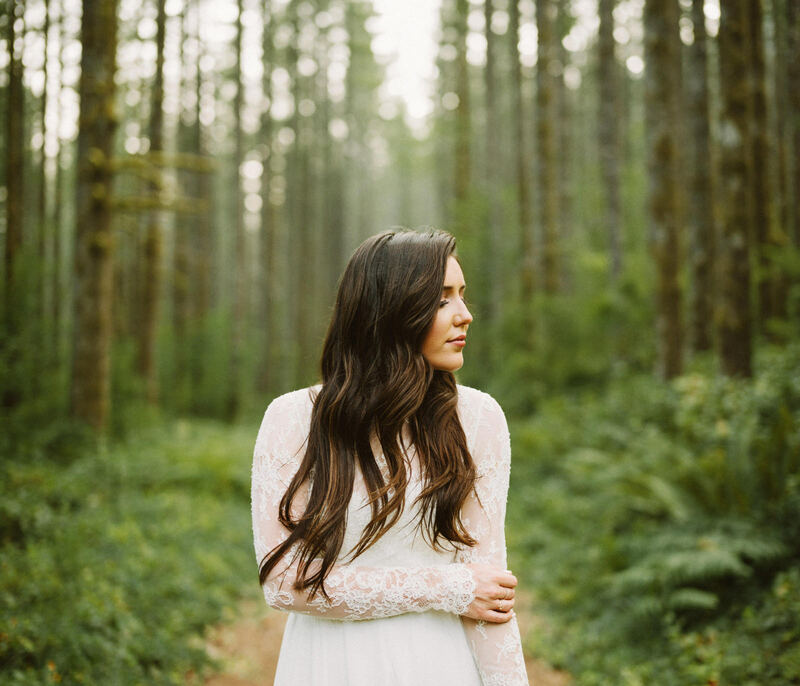 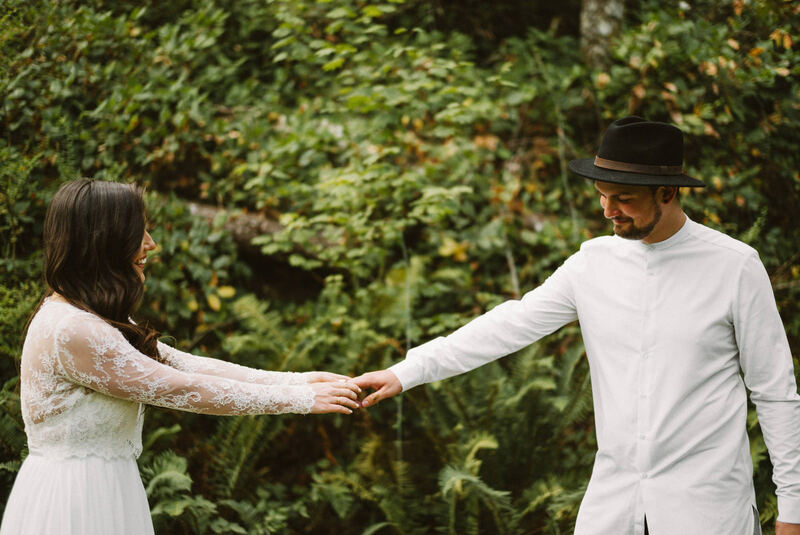 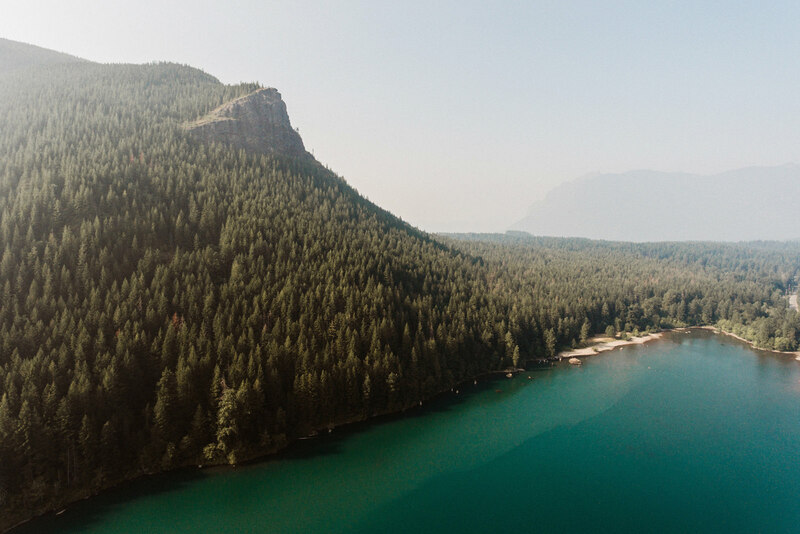 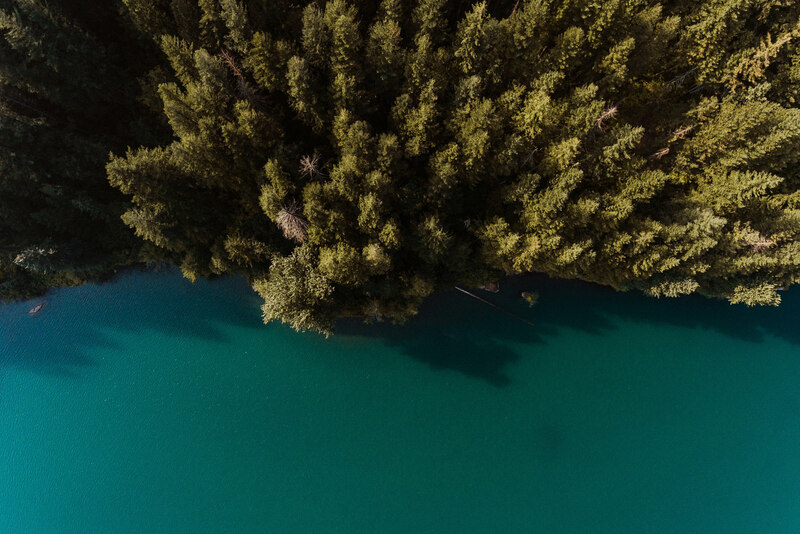 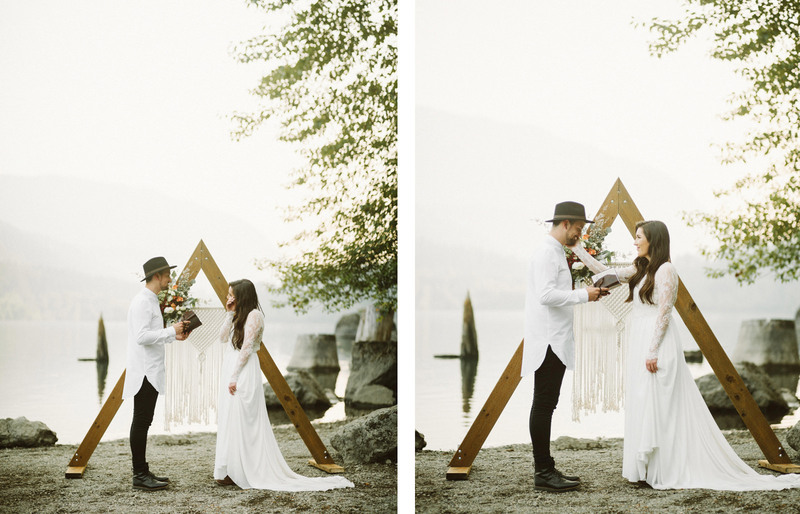 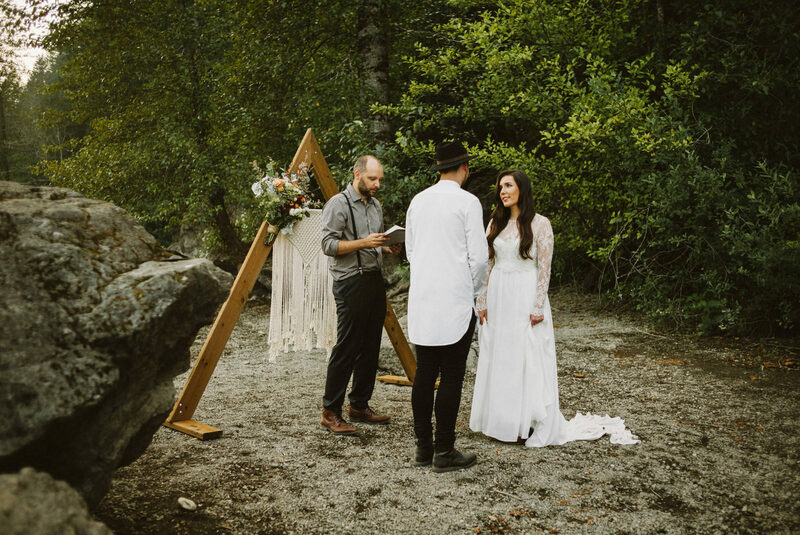 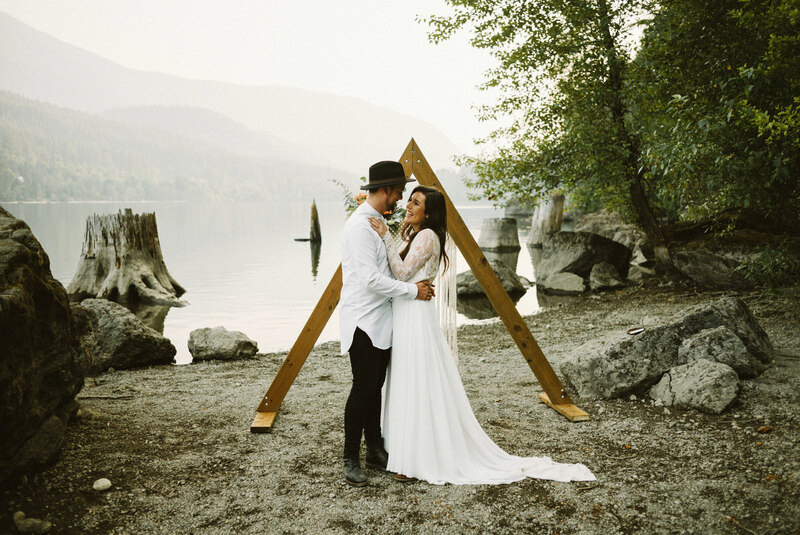 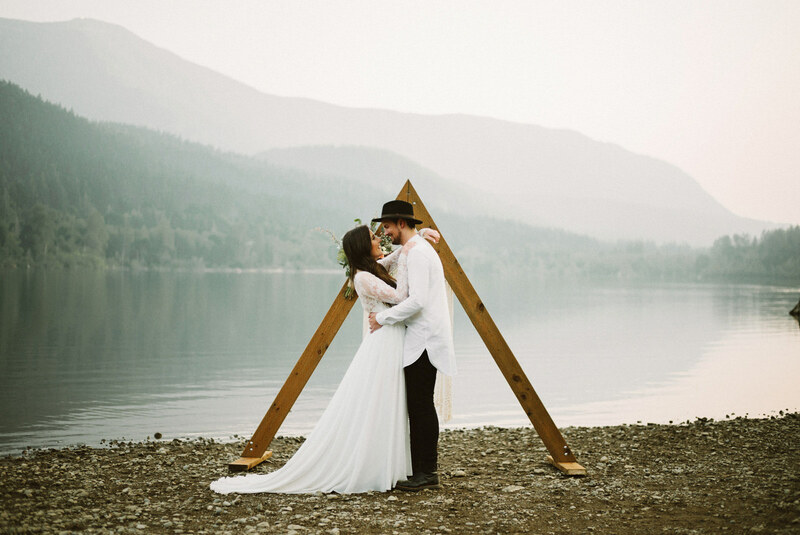 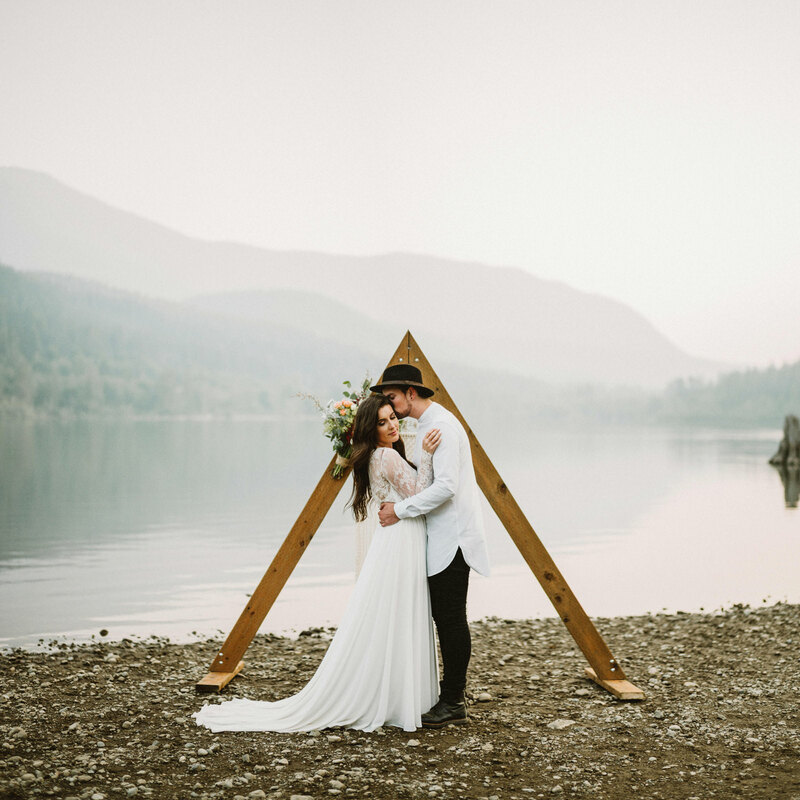 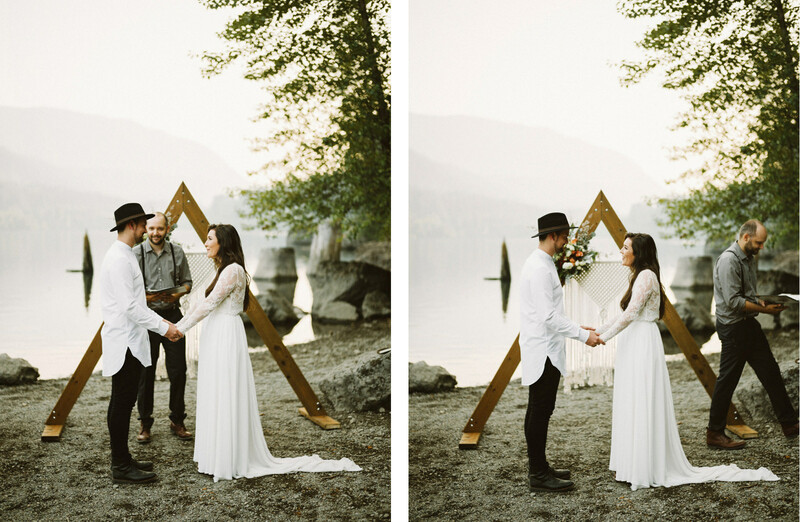 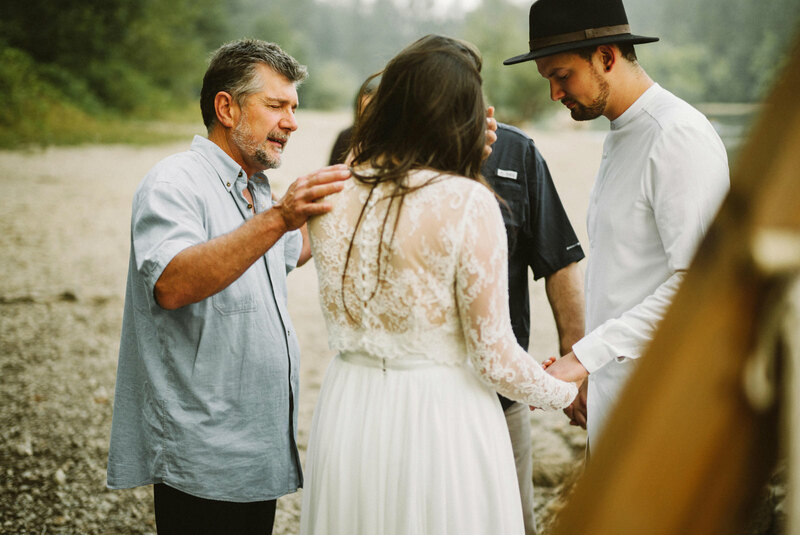 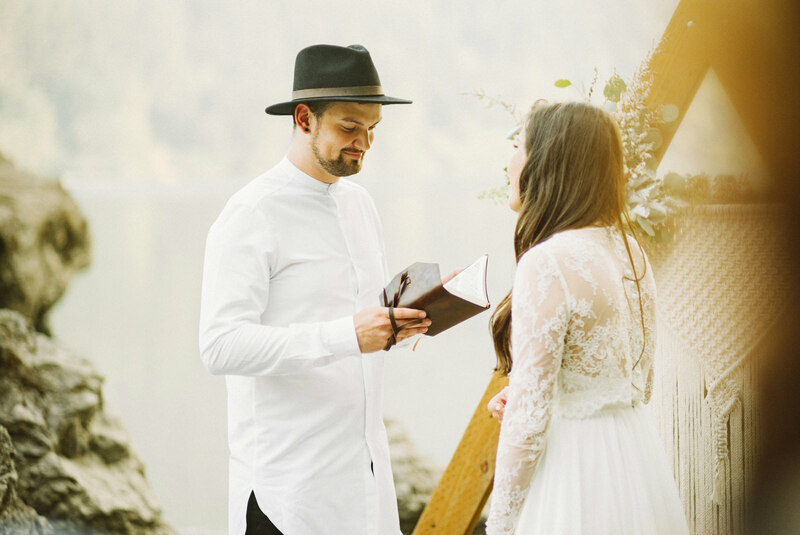 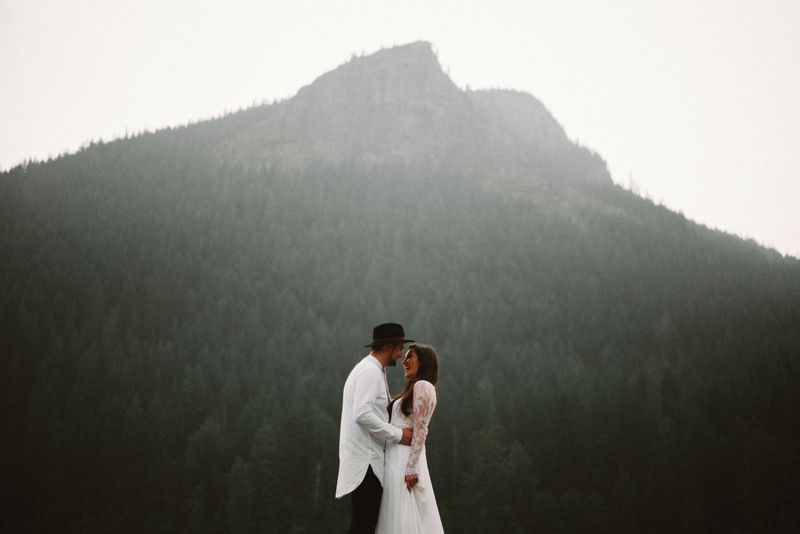 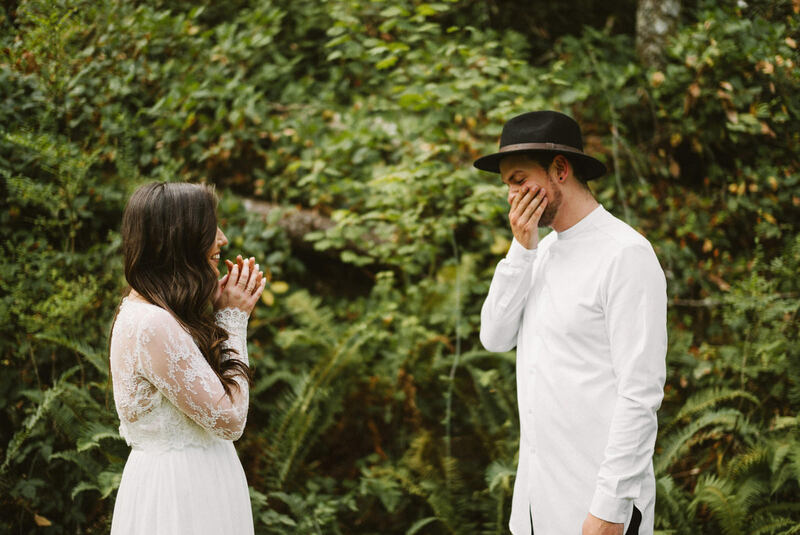 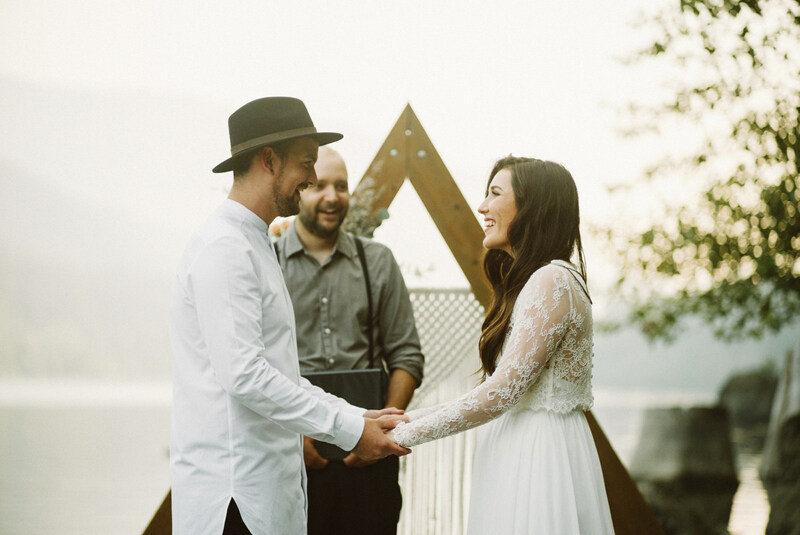 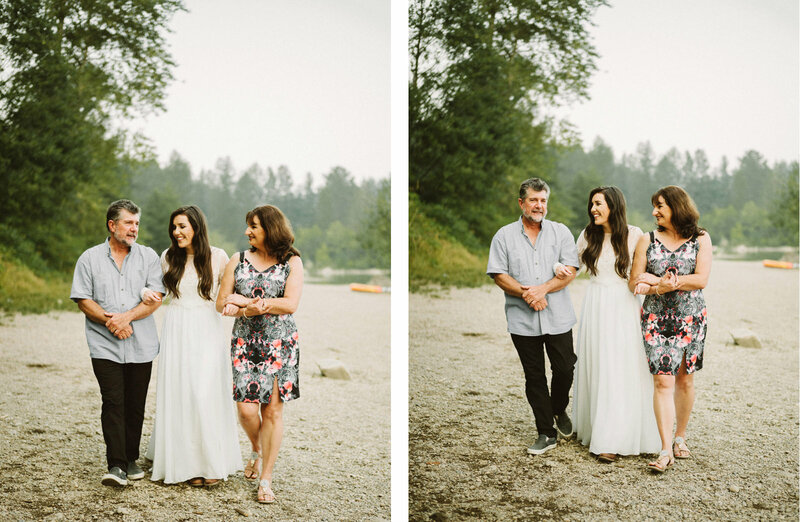 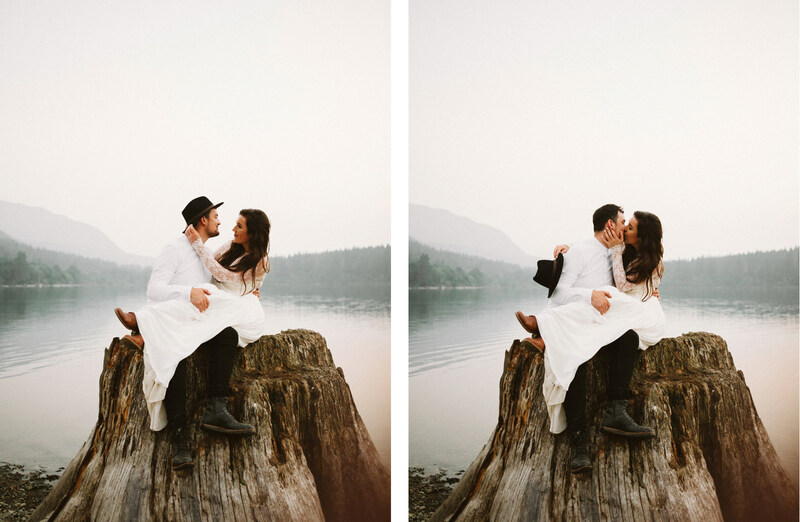 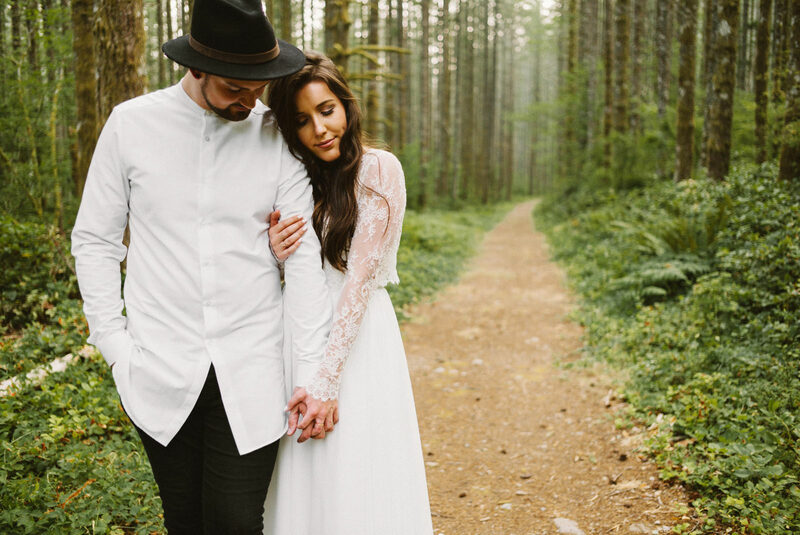 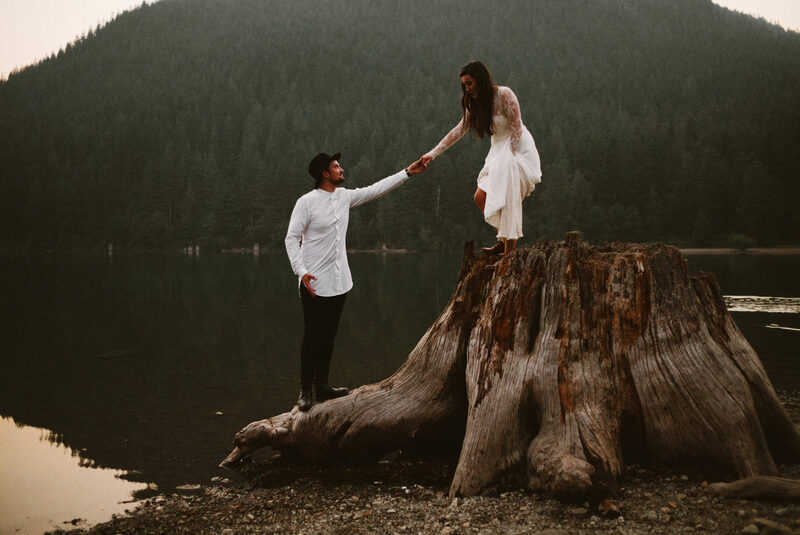 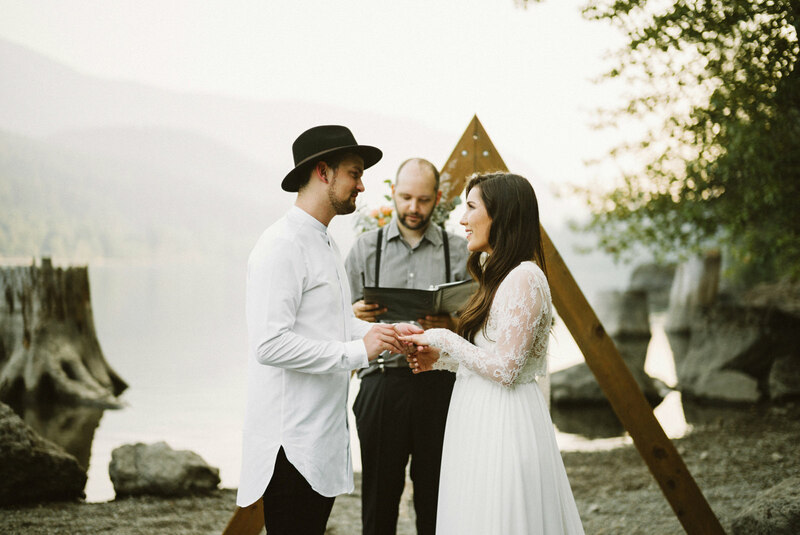 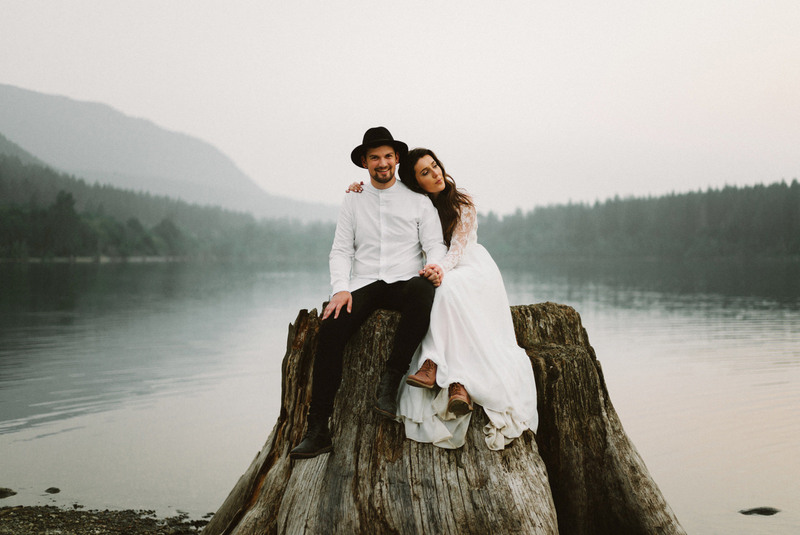 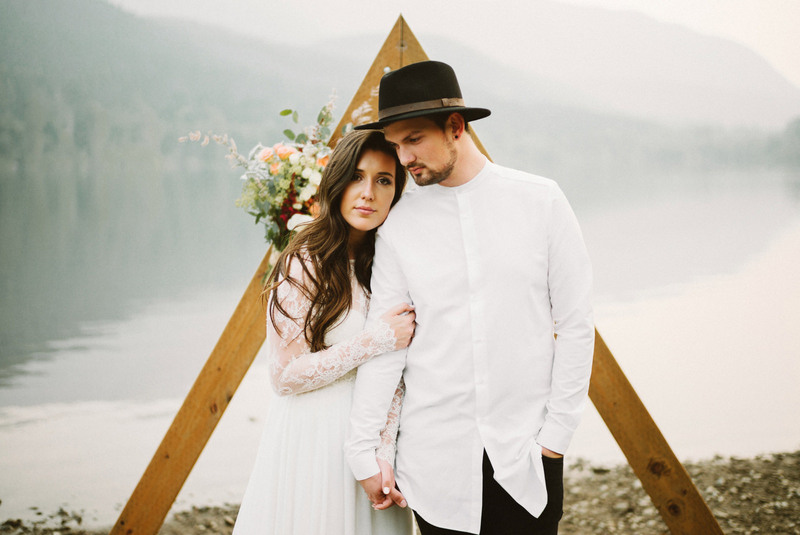 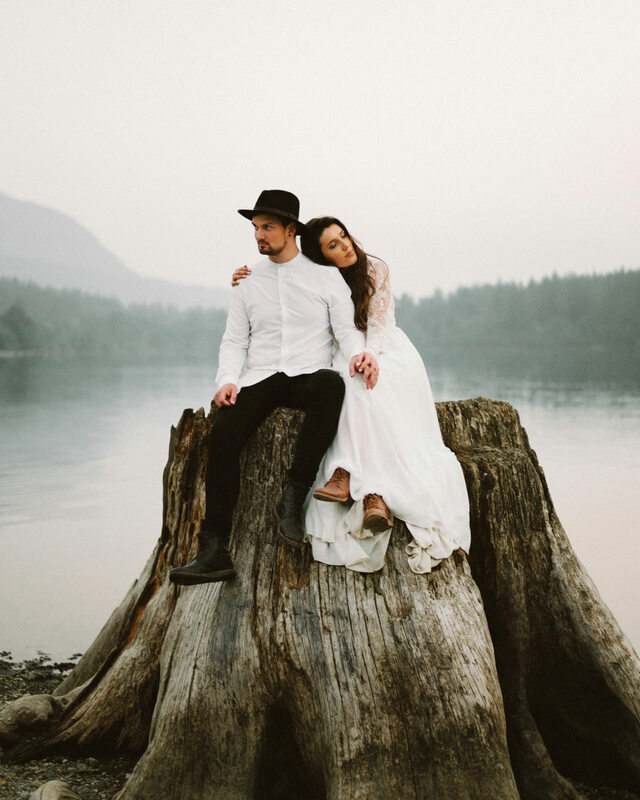 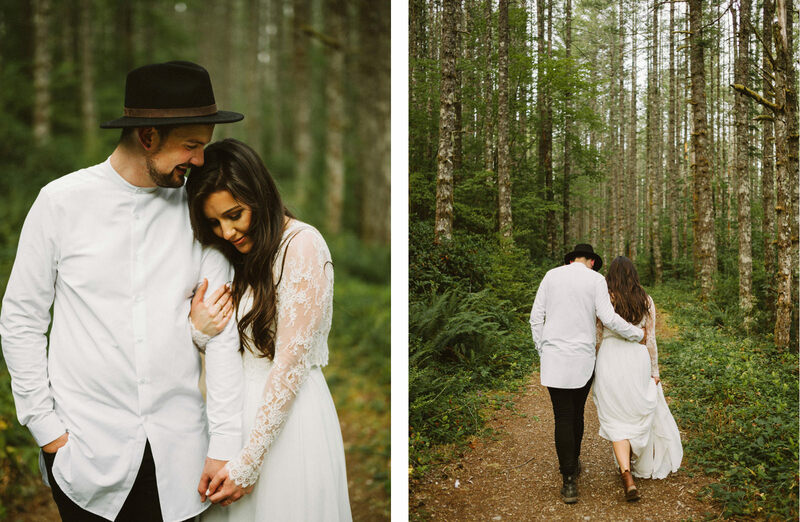 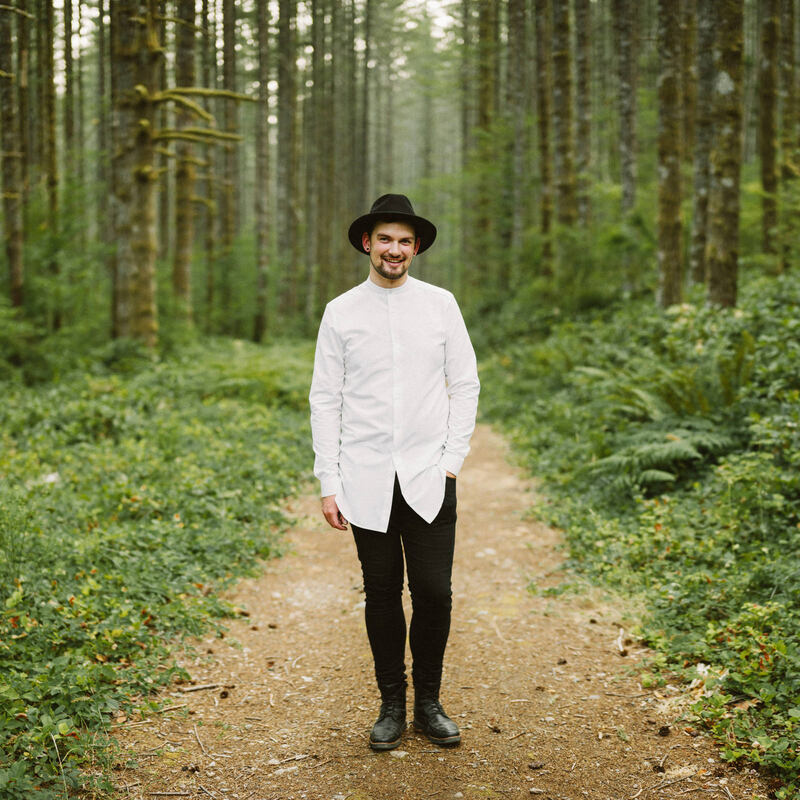 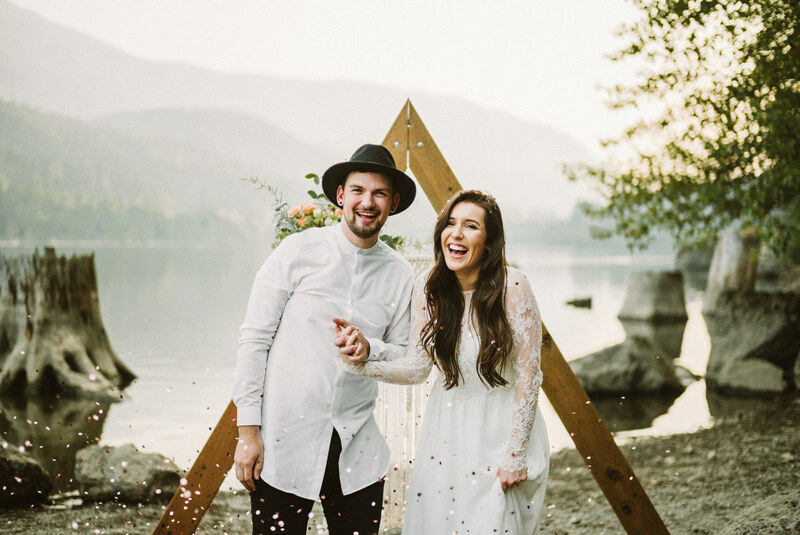 Athena and Camron eloped in an intimate ceremony with their immediate families at Rattlesnake Lake on a sunny evening in August. 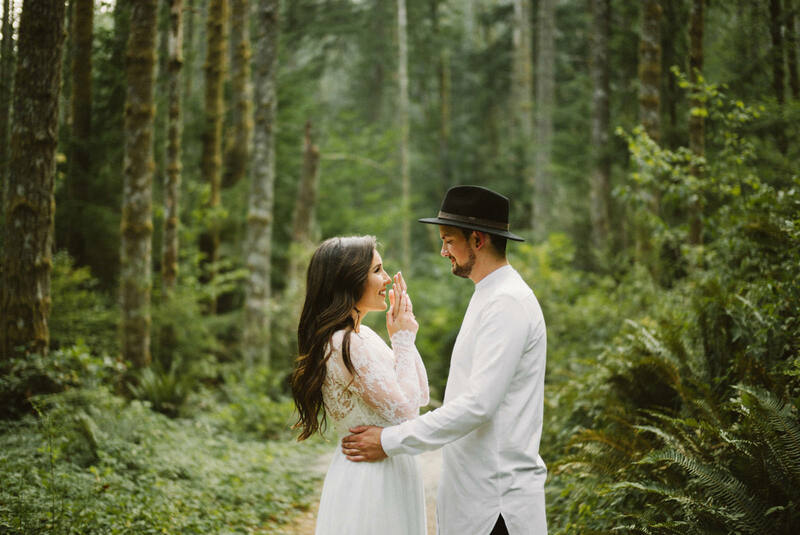 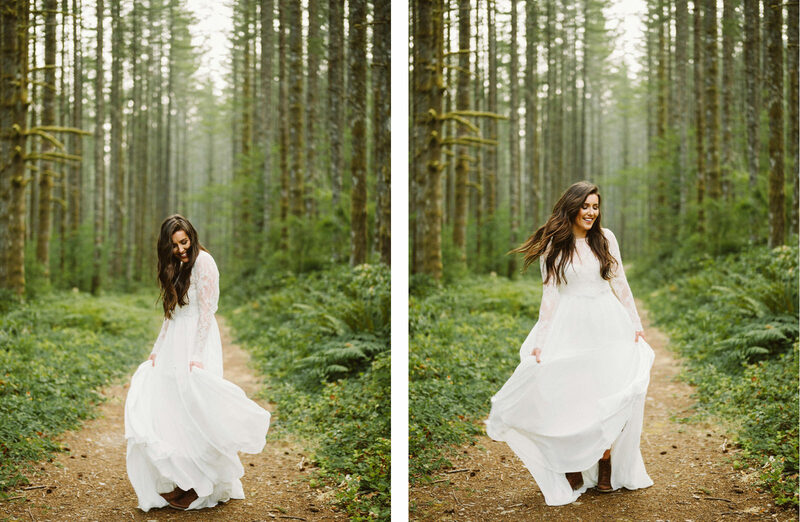 As a photographer herself, I was honored that Athena trusted me with her photos and it was super fun to be able to finally meet her and Camron and document the beginning of their marriage. 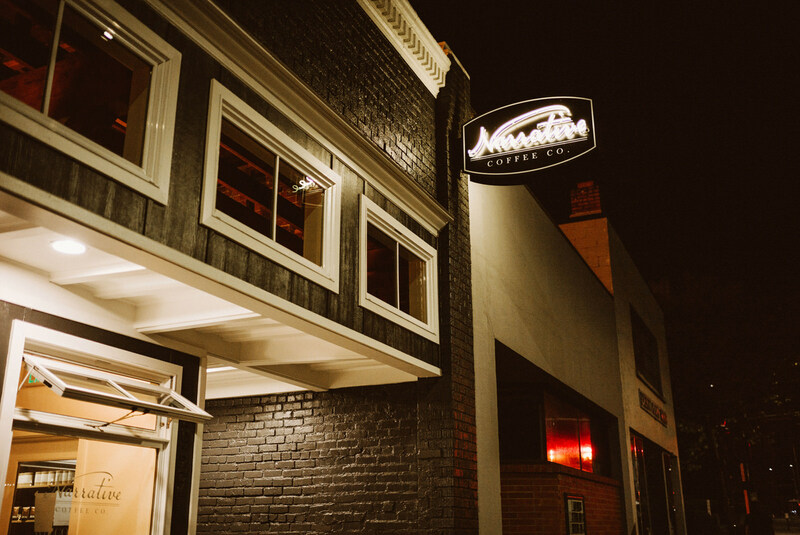 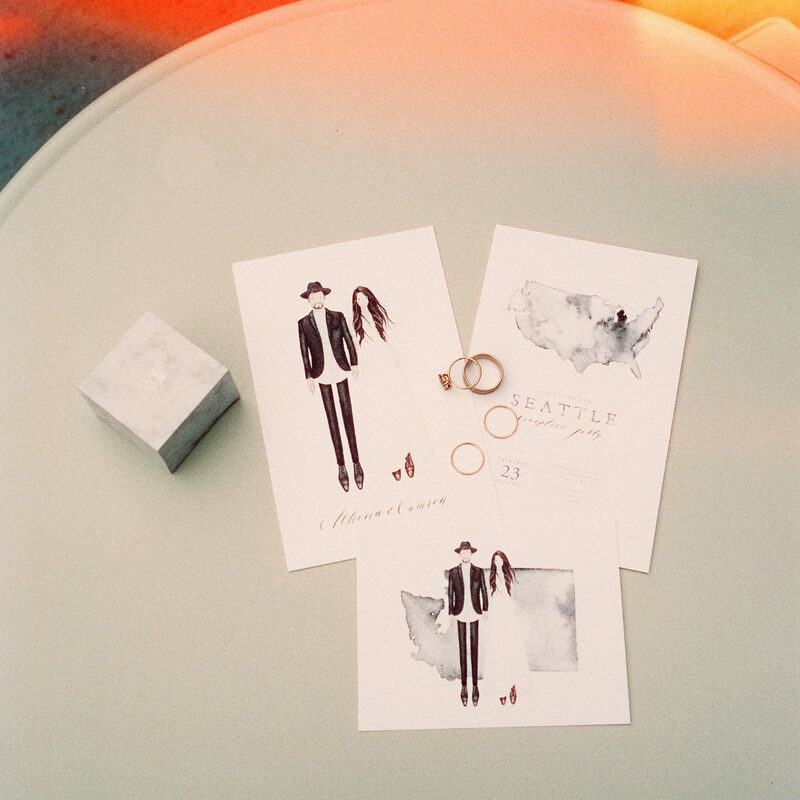 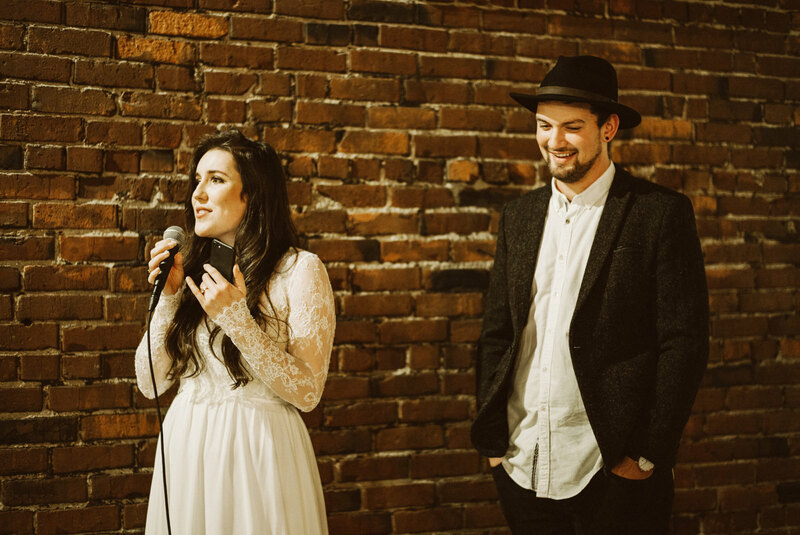 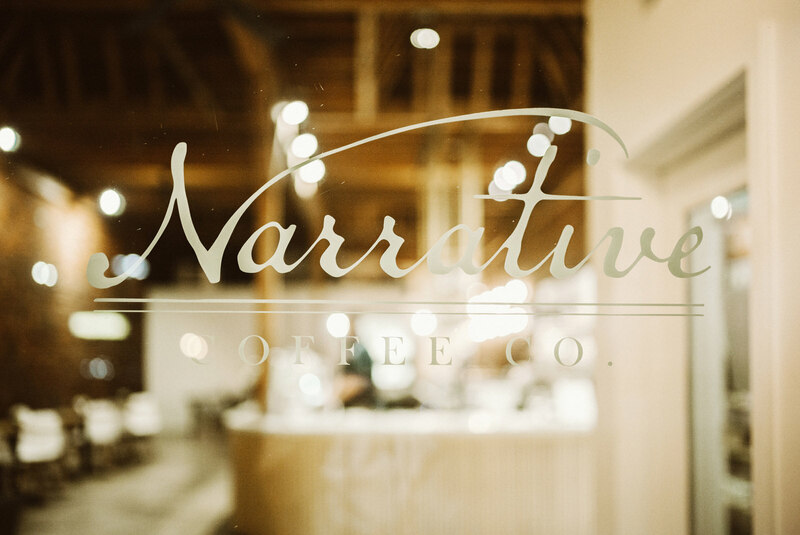 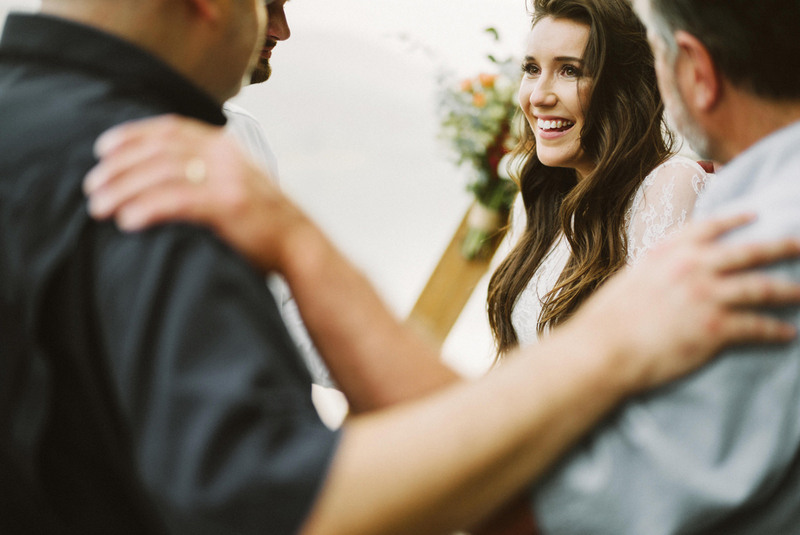 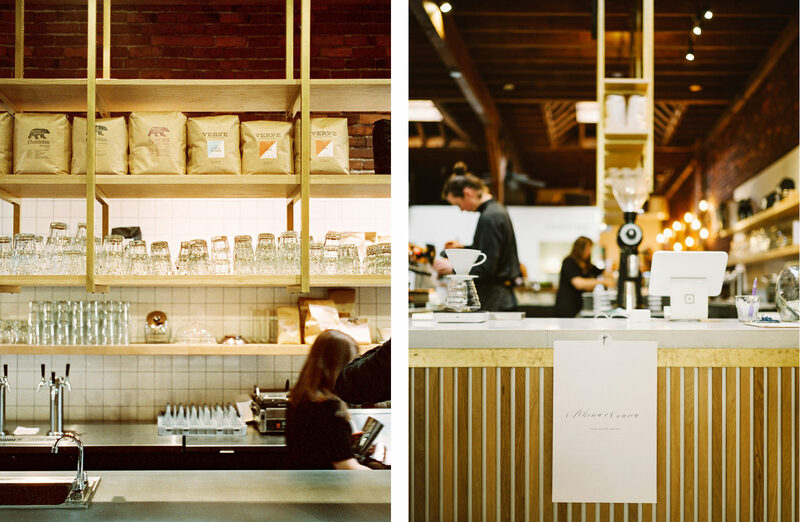 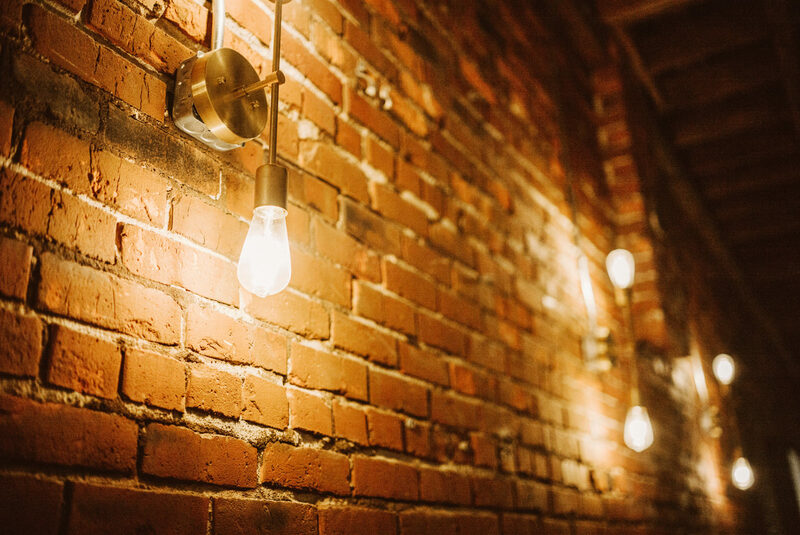 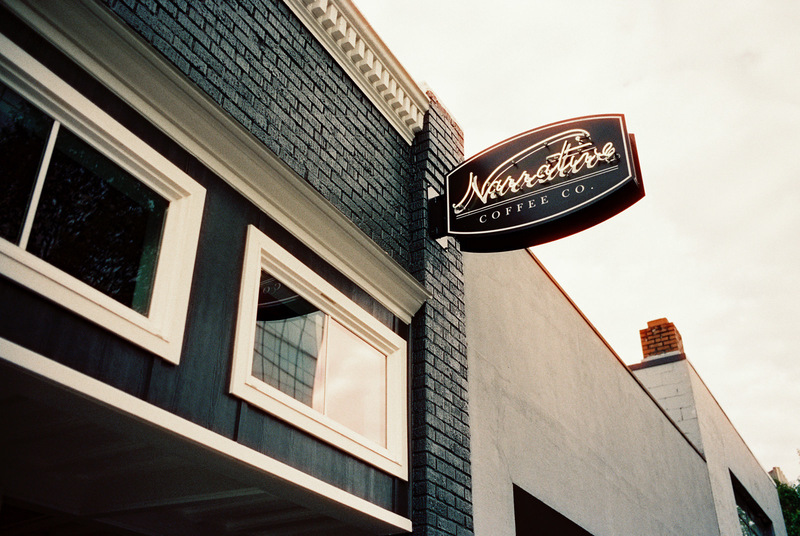 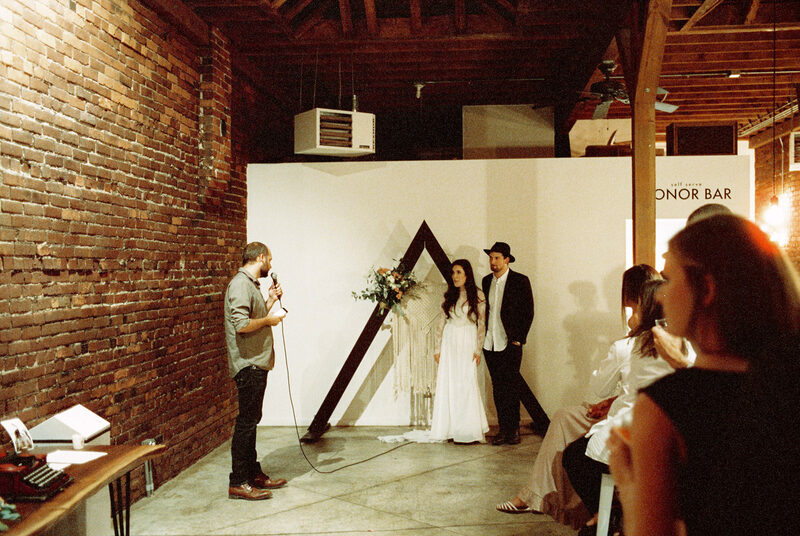 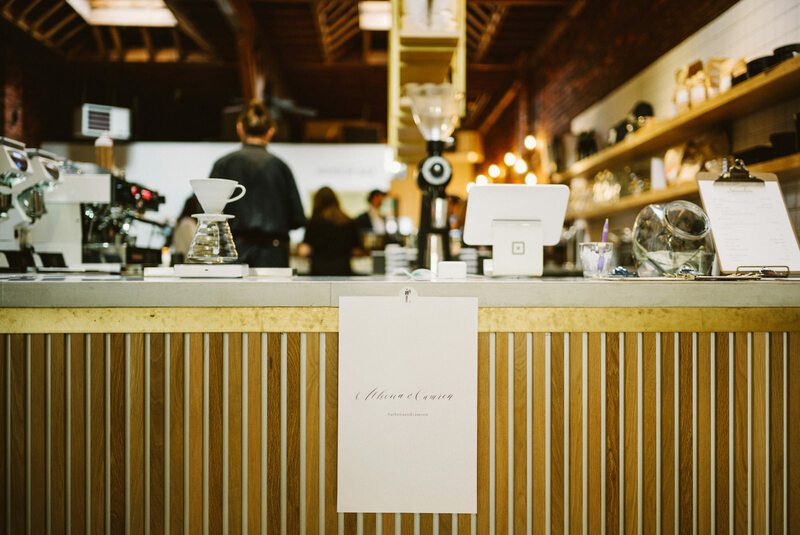 A month later, I had the oppurtunity to photograph their Seattle reception as well. 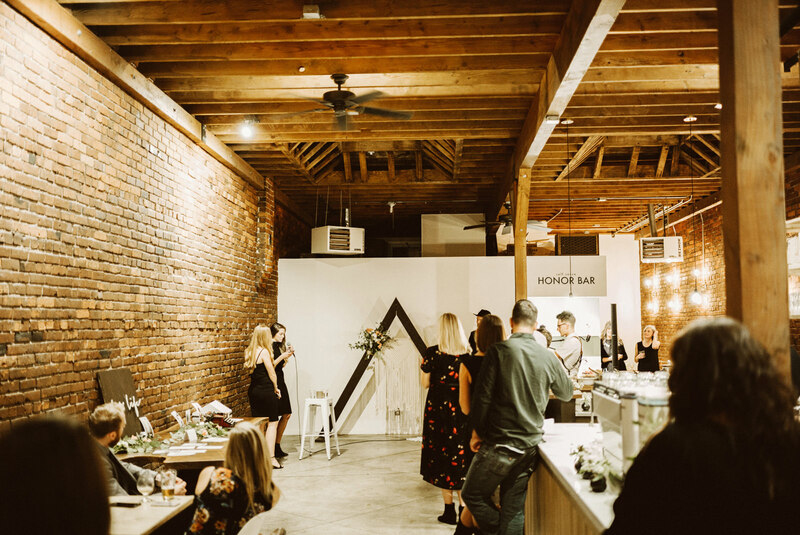 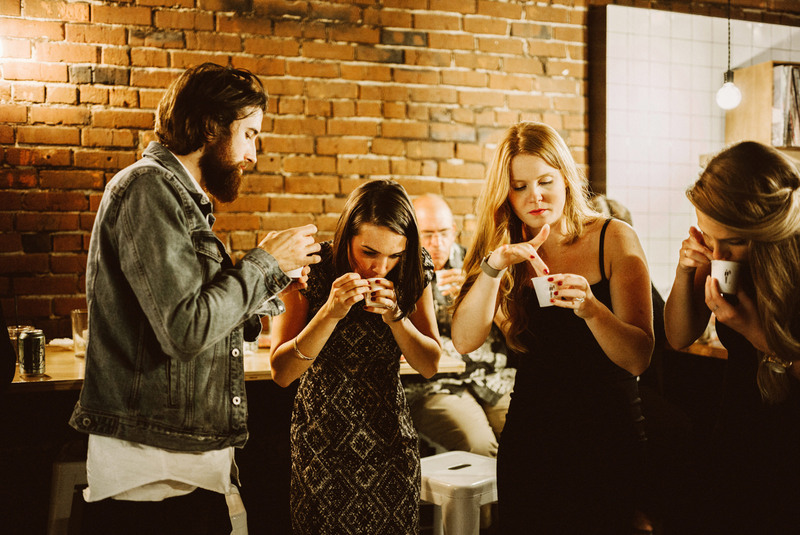 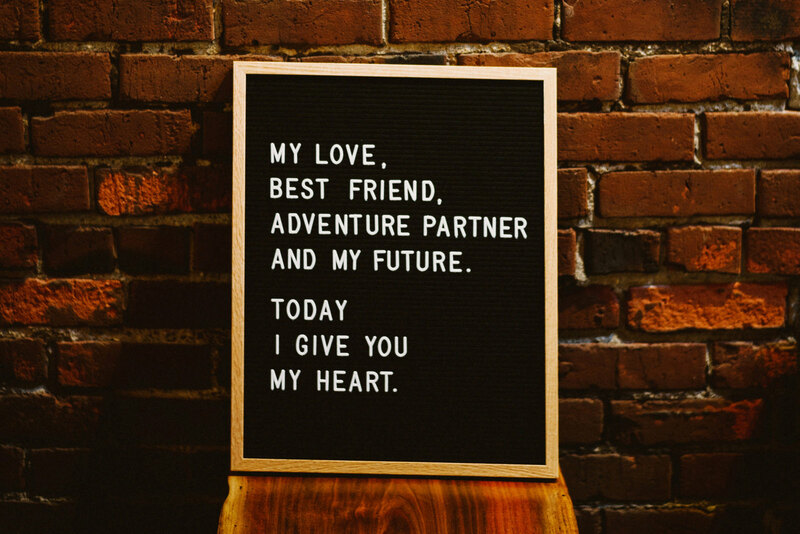 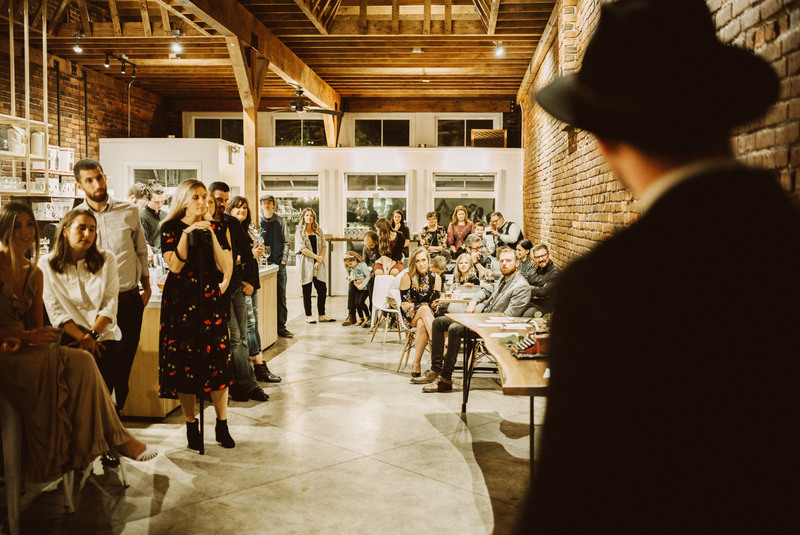 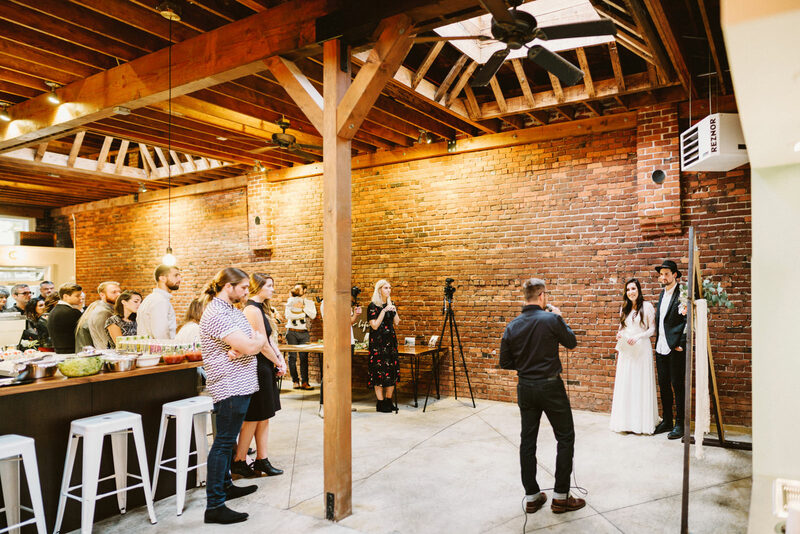 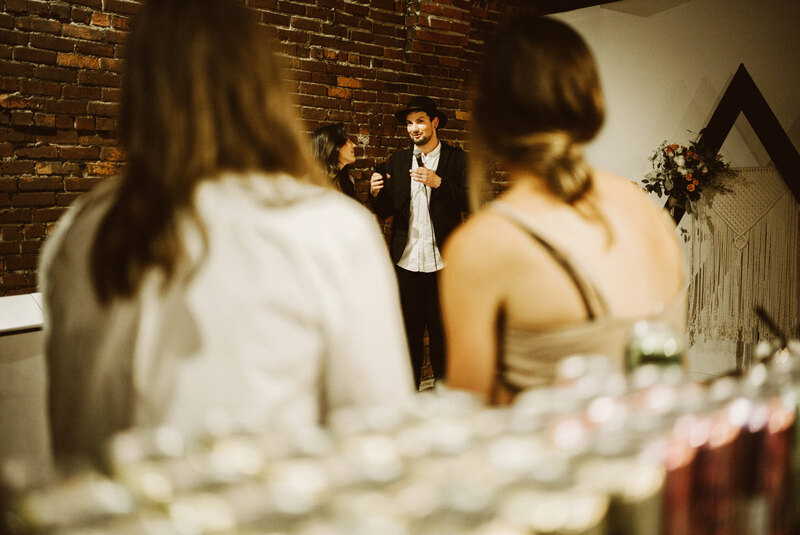 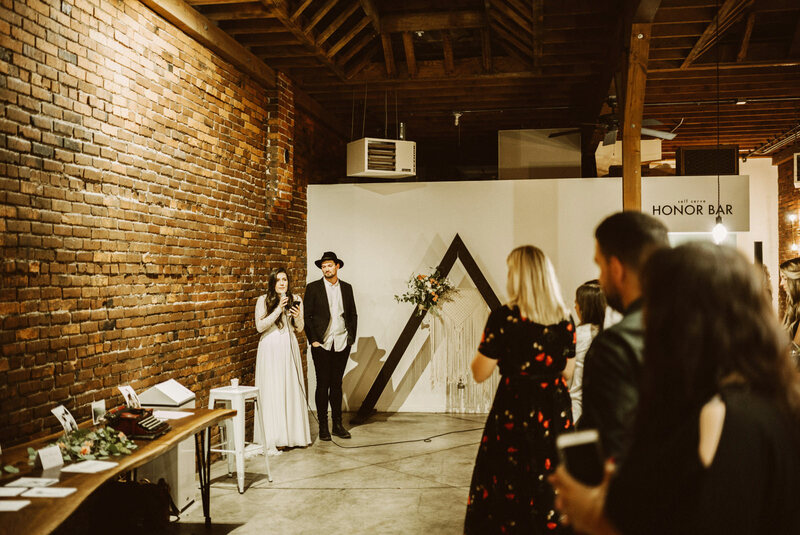 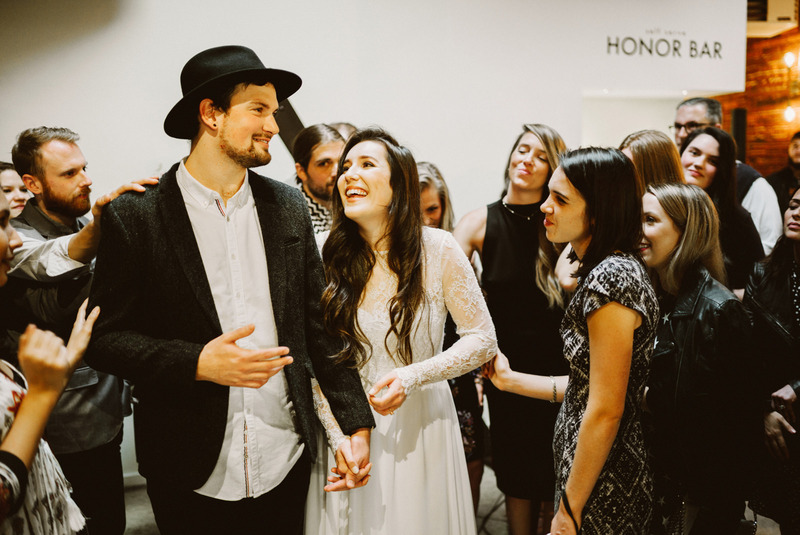 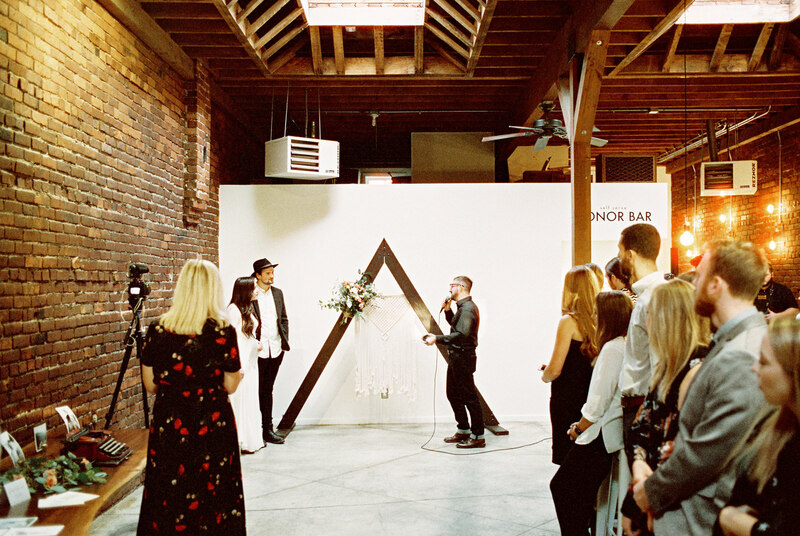 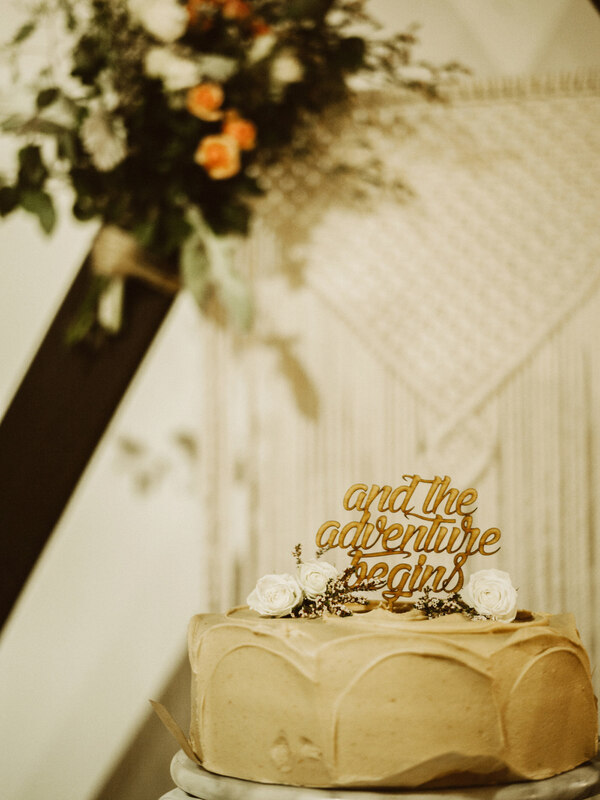 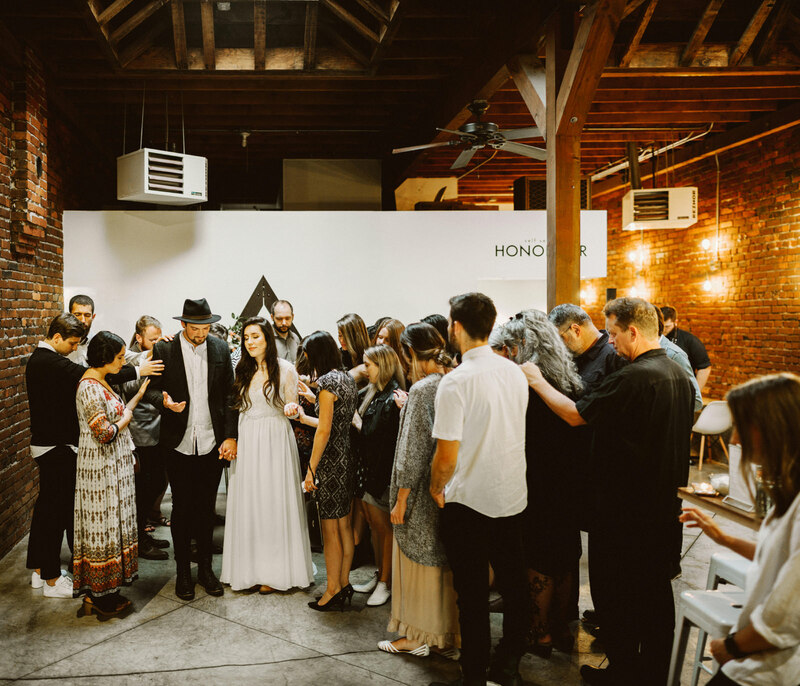 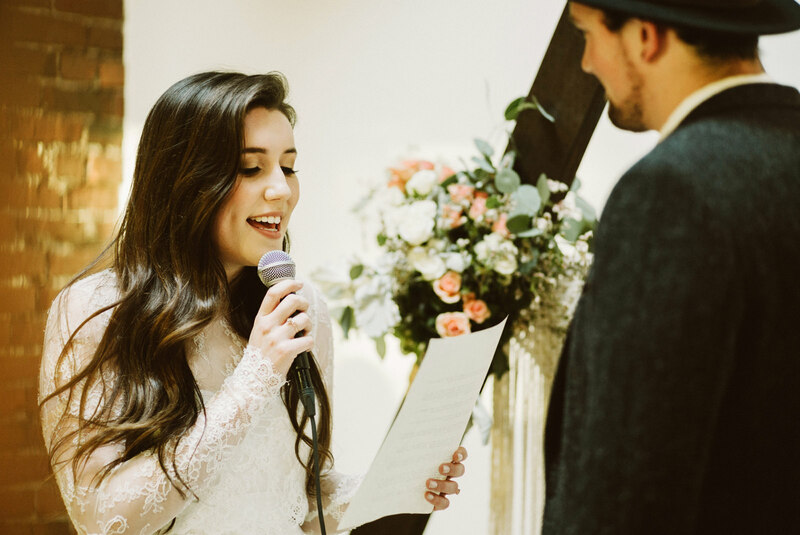 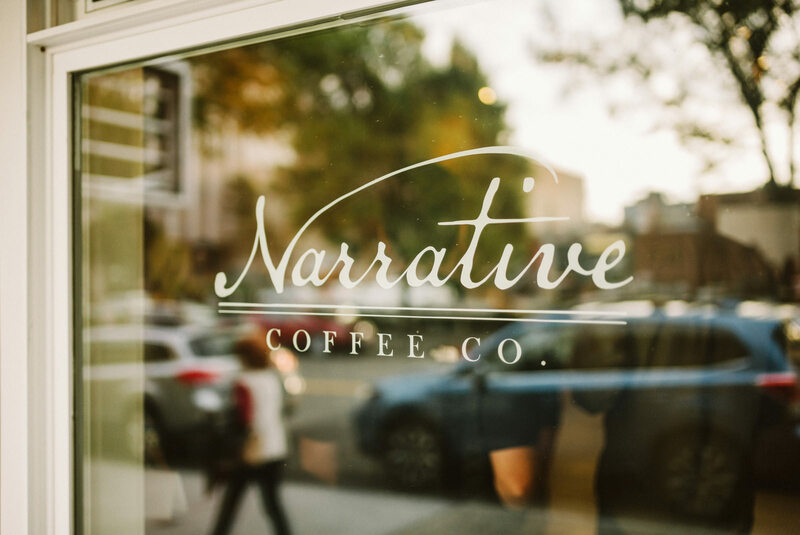 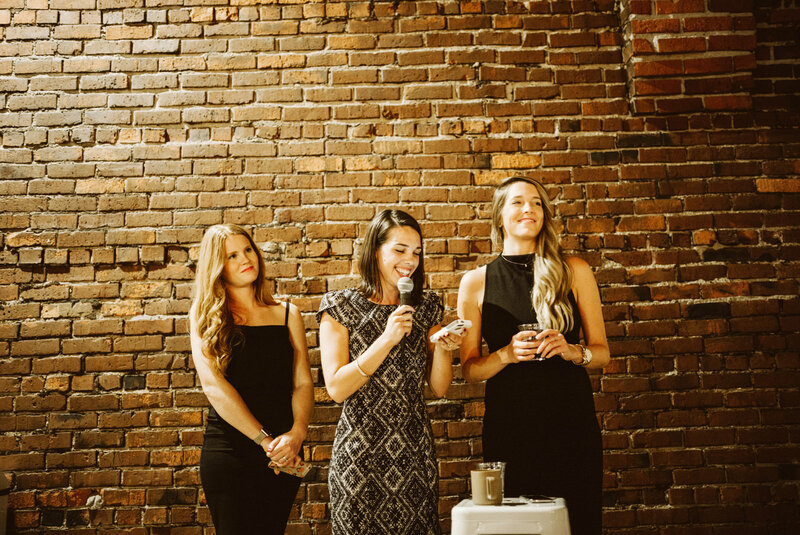 I love when elopement couples allow their family & friends to celebrate with them and this reception party was an awesome example of the love and support of their community. 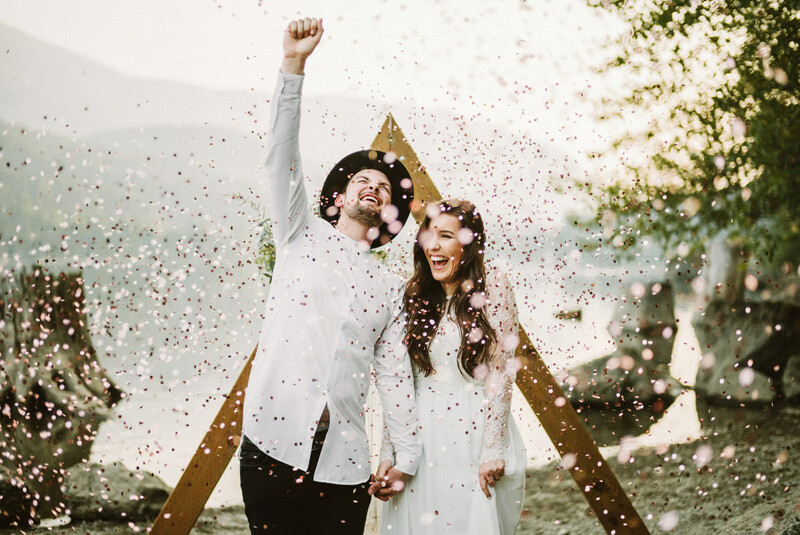 Ughhhh… that fist pump confetti shot is everything and a bag of chips! 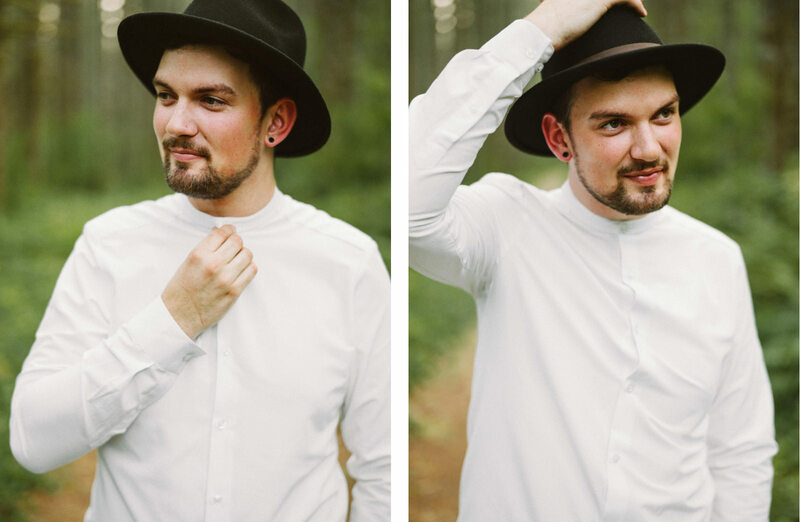 The hat, the collarless shirt, such effortless minimalist fashion. 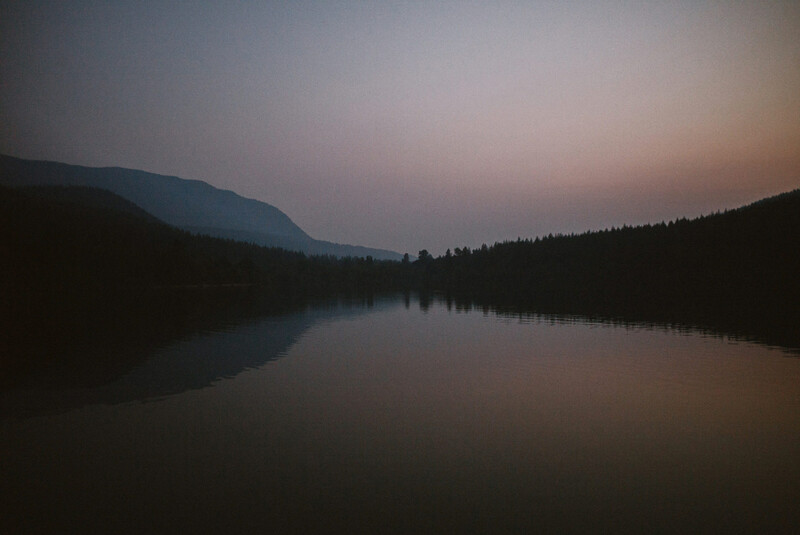 Actually, its the minimalism of the whole production that gets me. 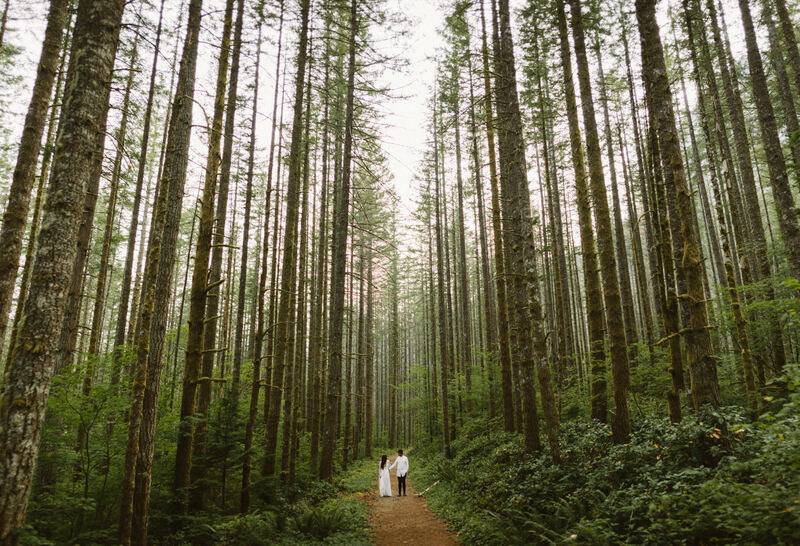 Like the couple cares about all the right things. 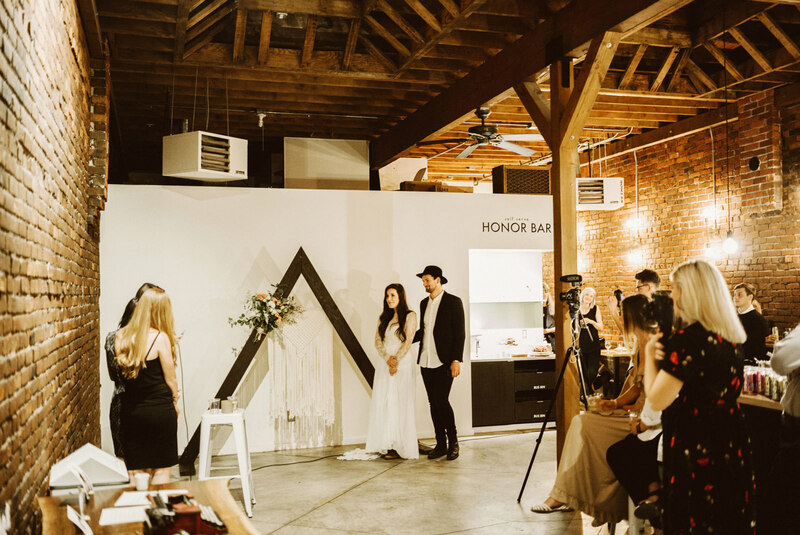 Must have been ideal clients for you! 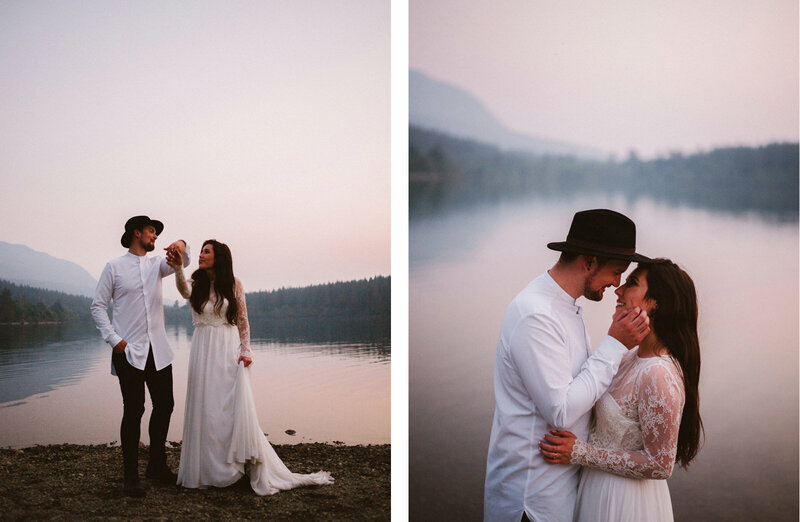 These photos are amazing! 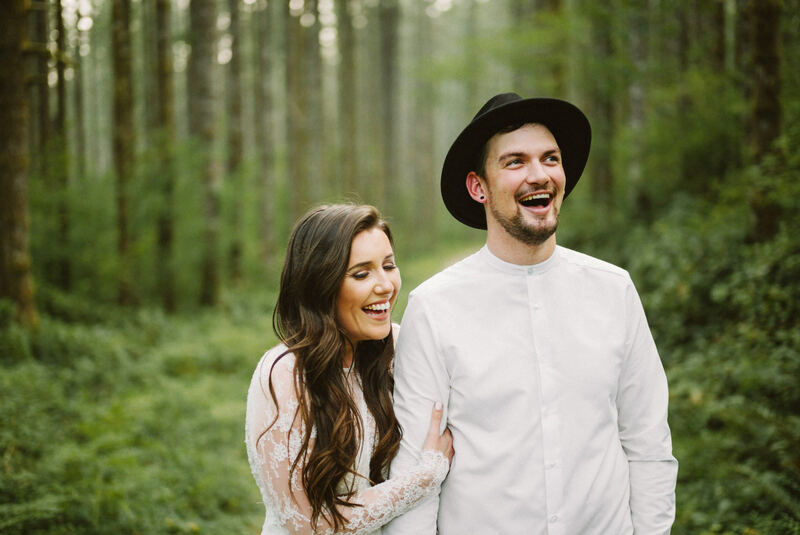 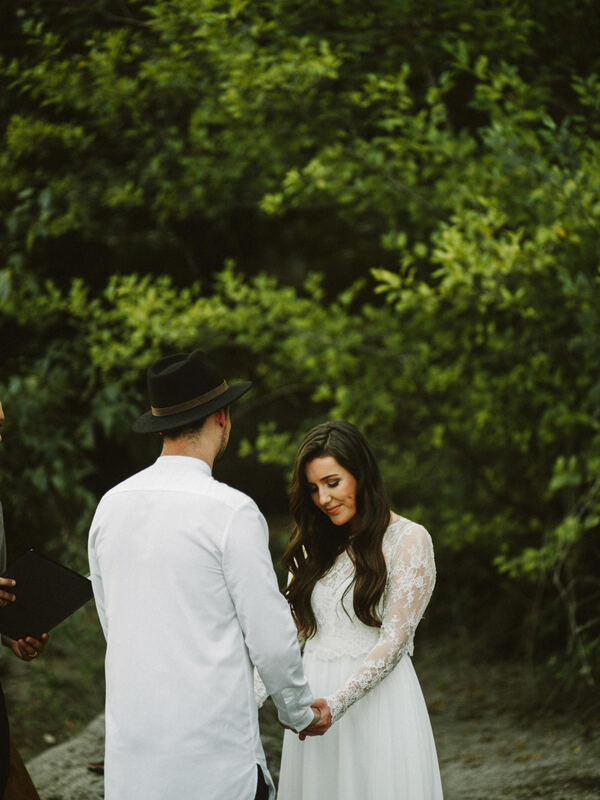 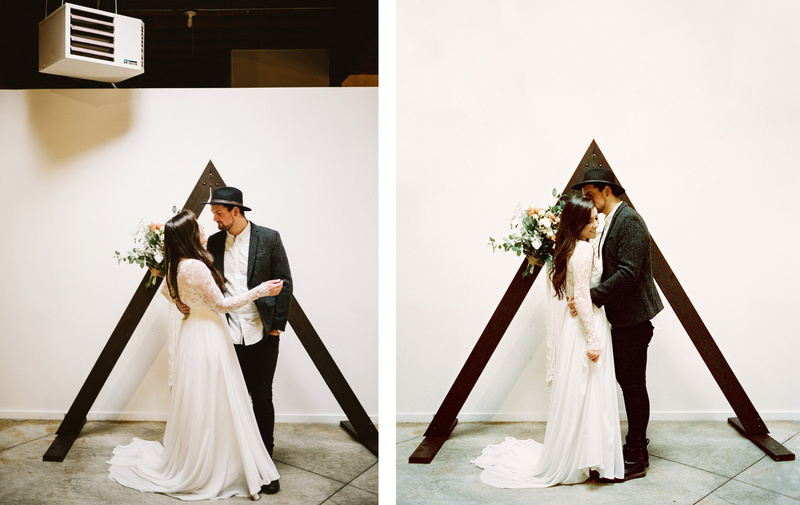 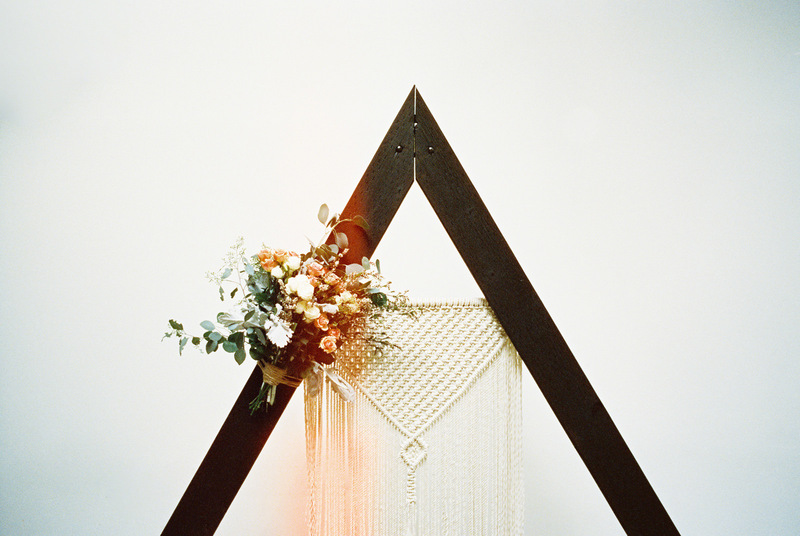 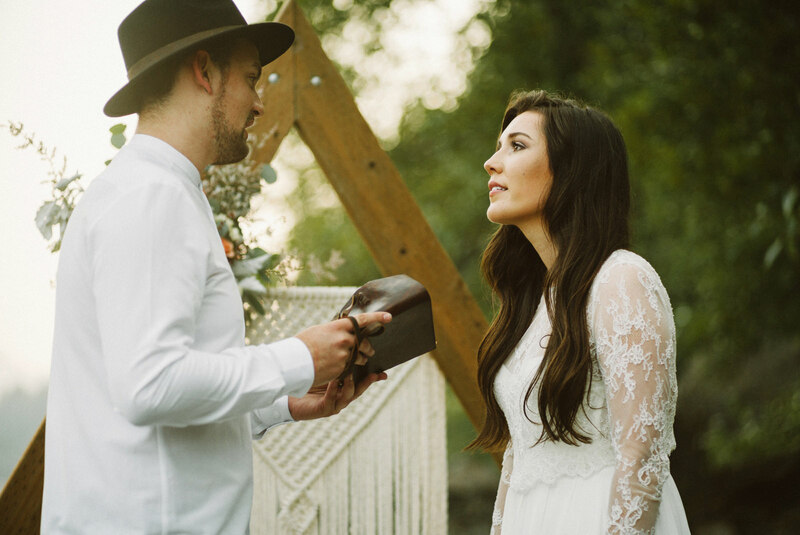 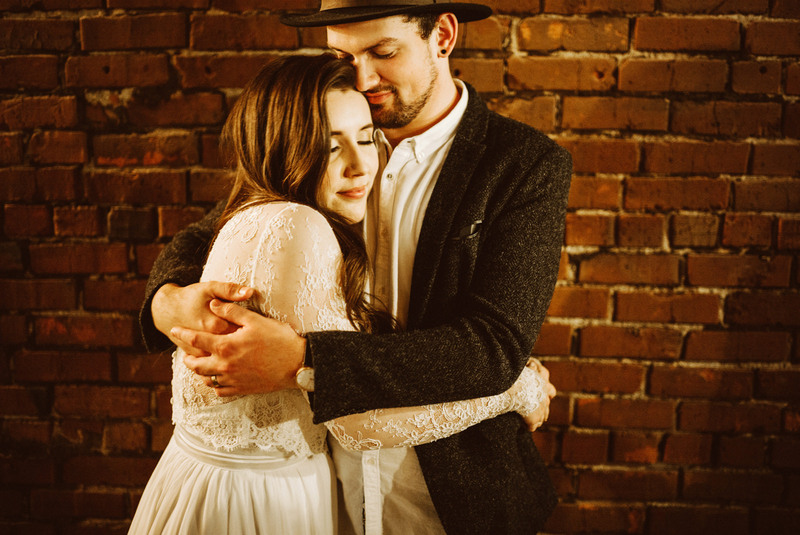 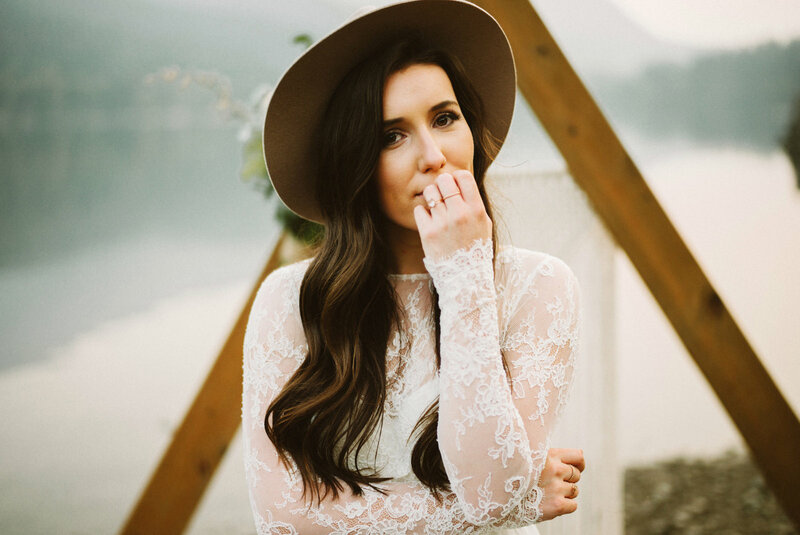 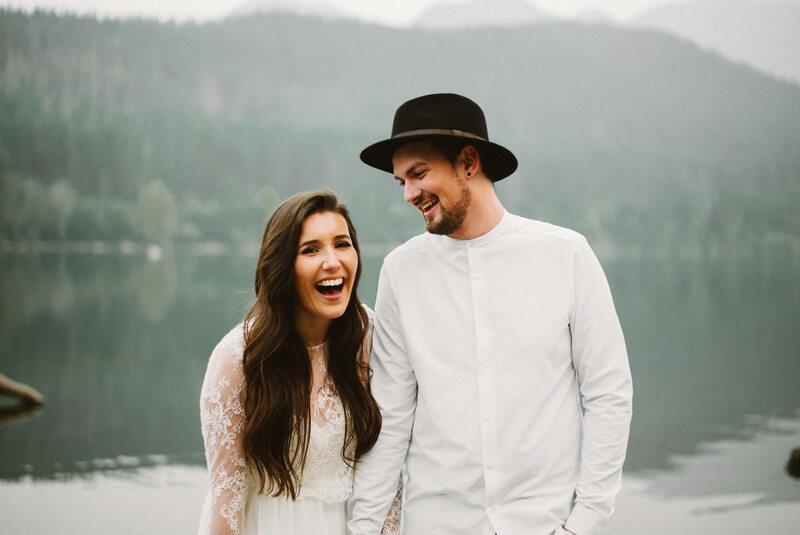 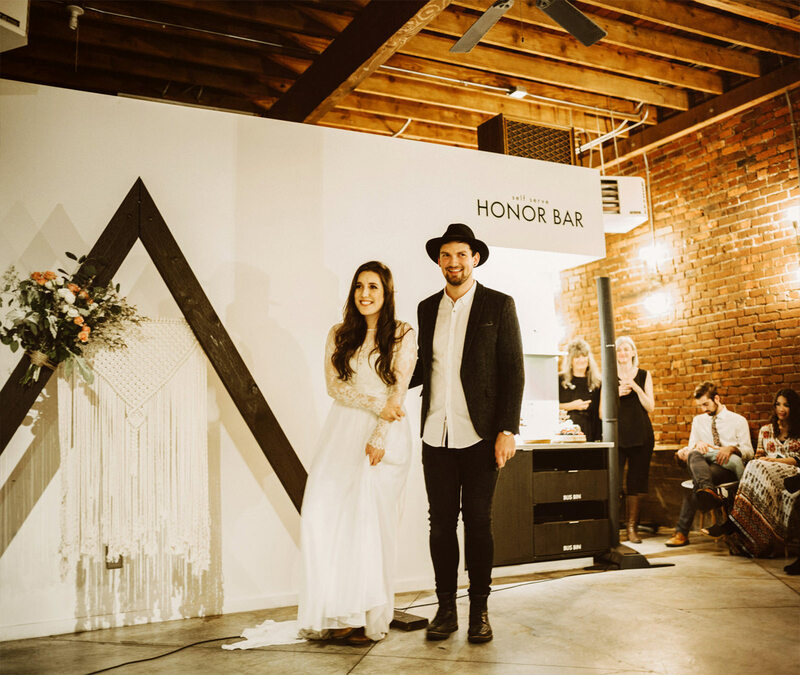 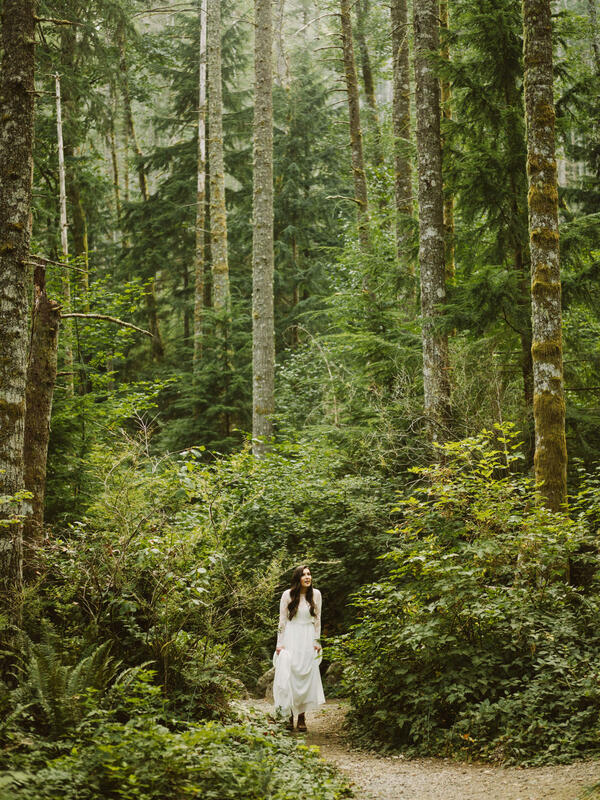 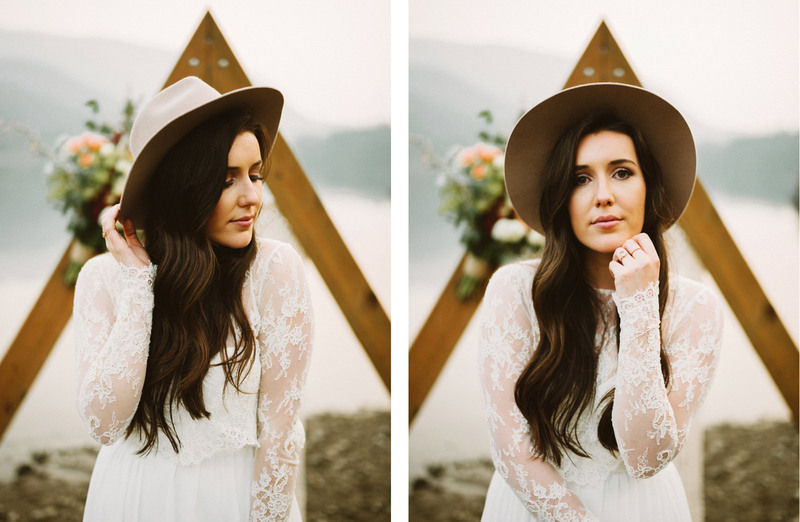 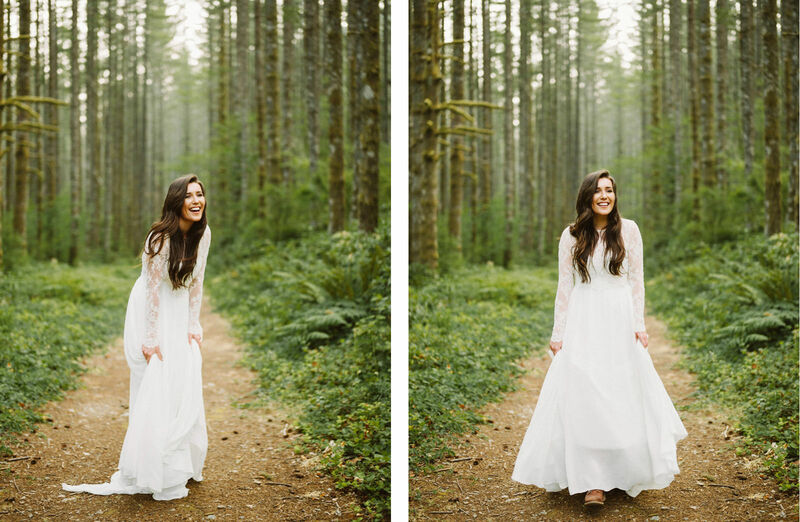 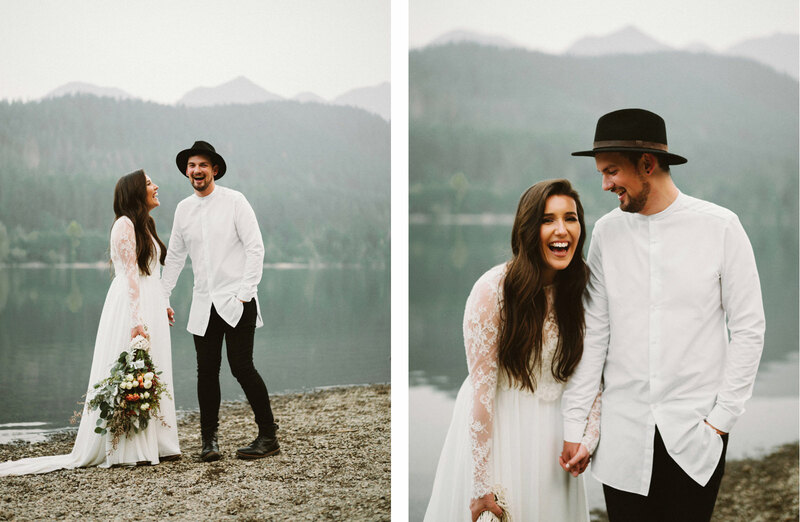 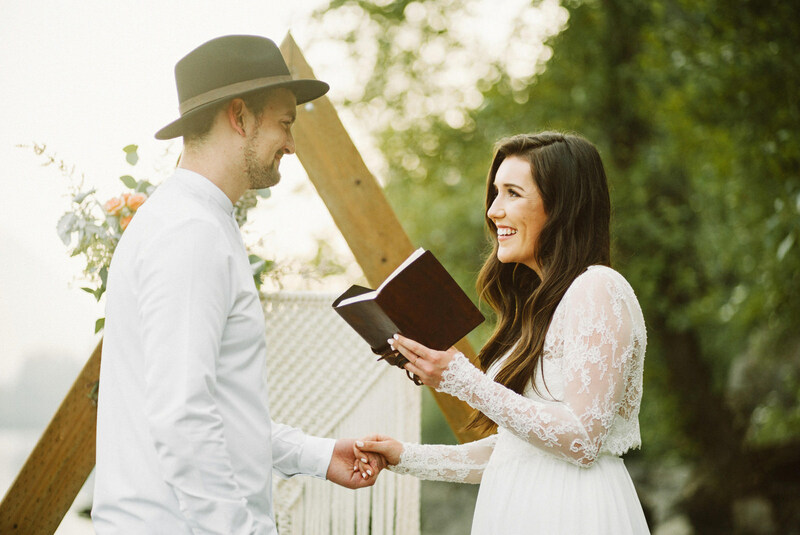 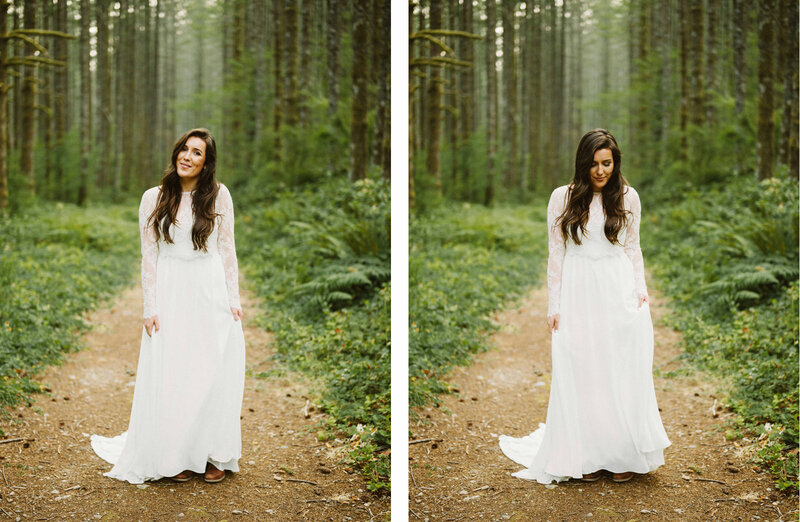 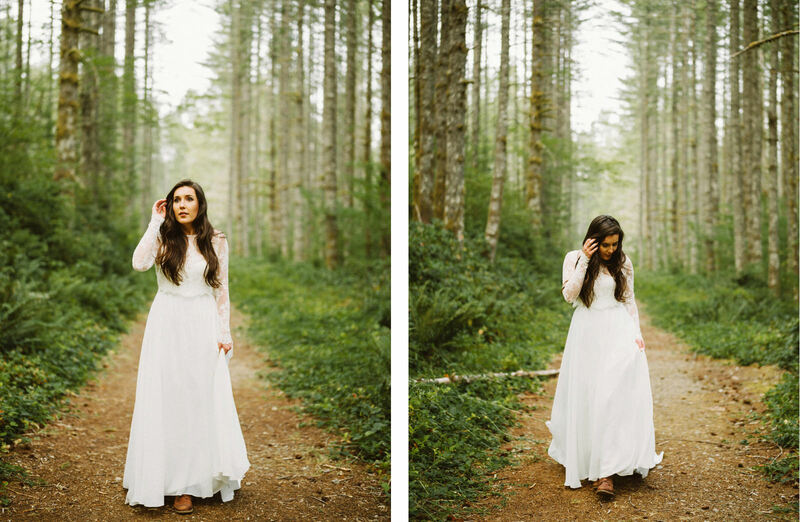 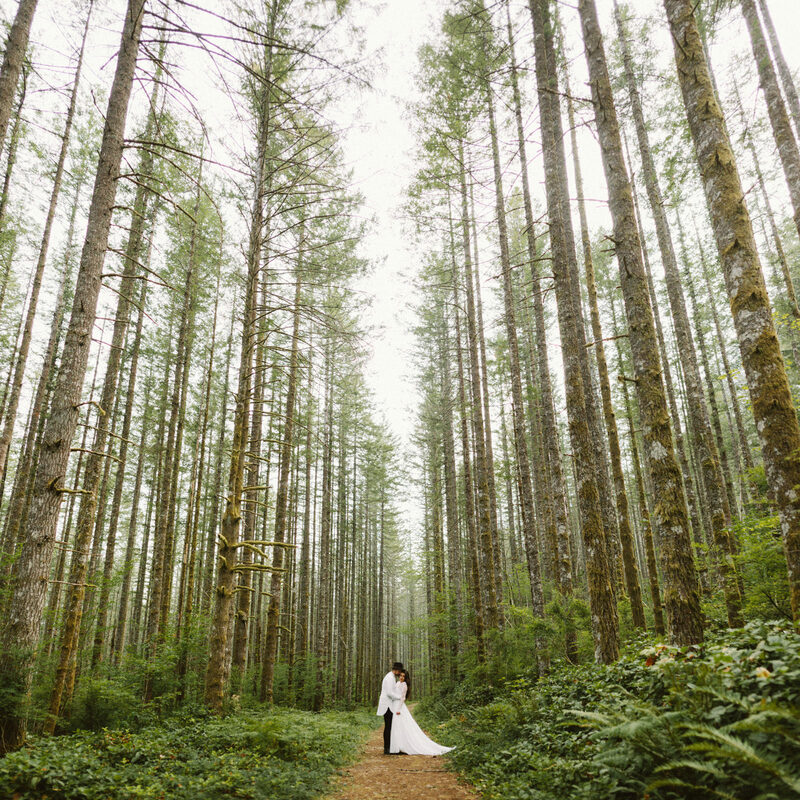 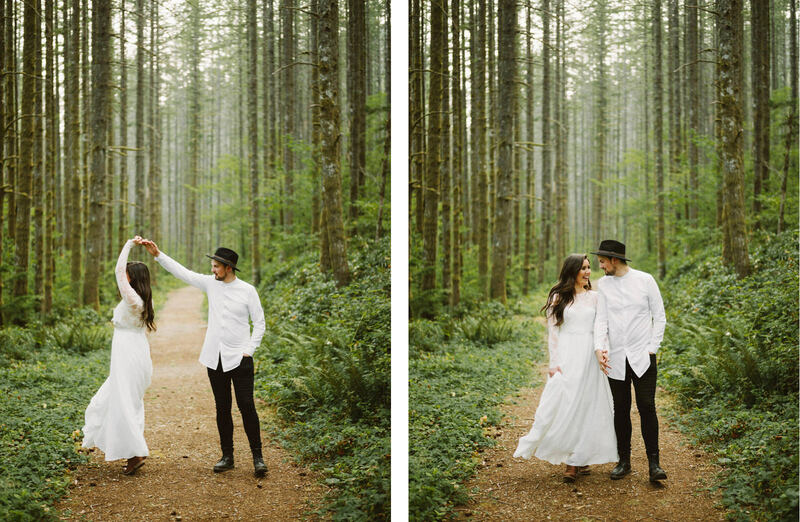 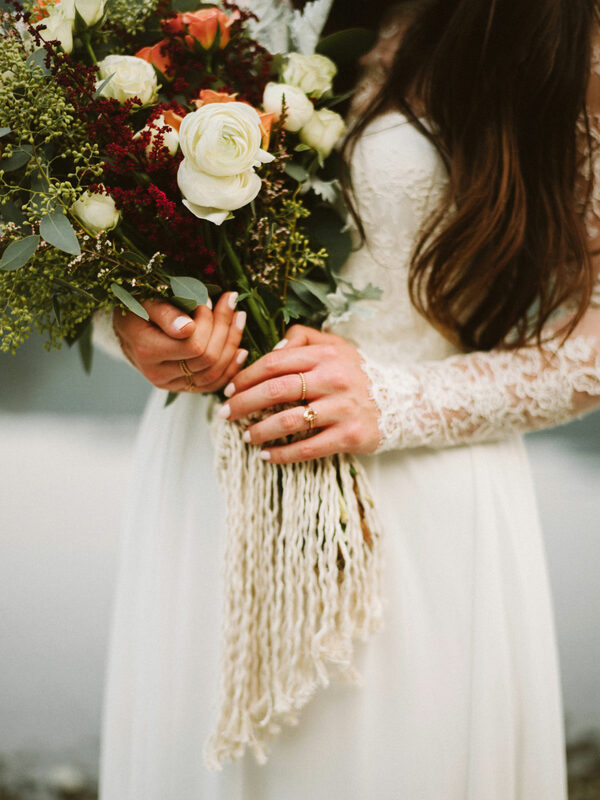 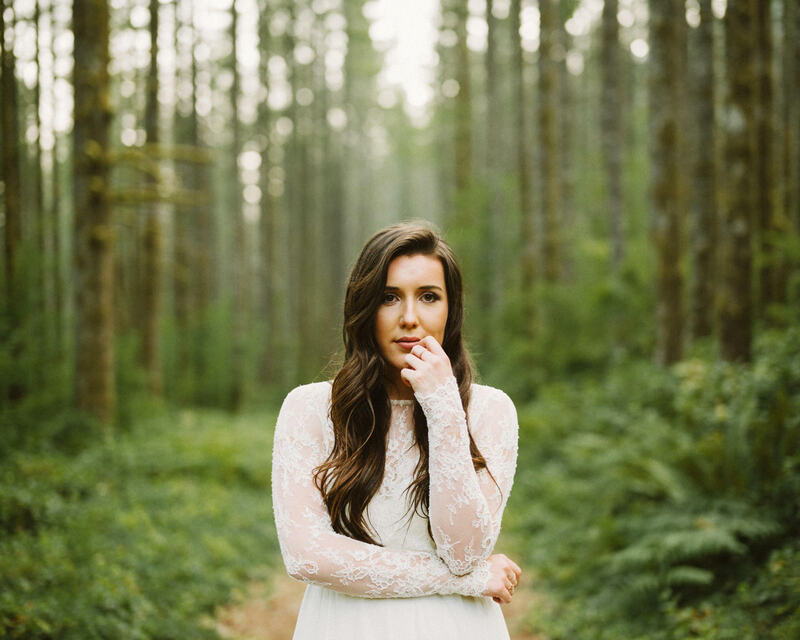 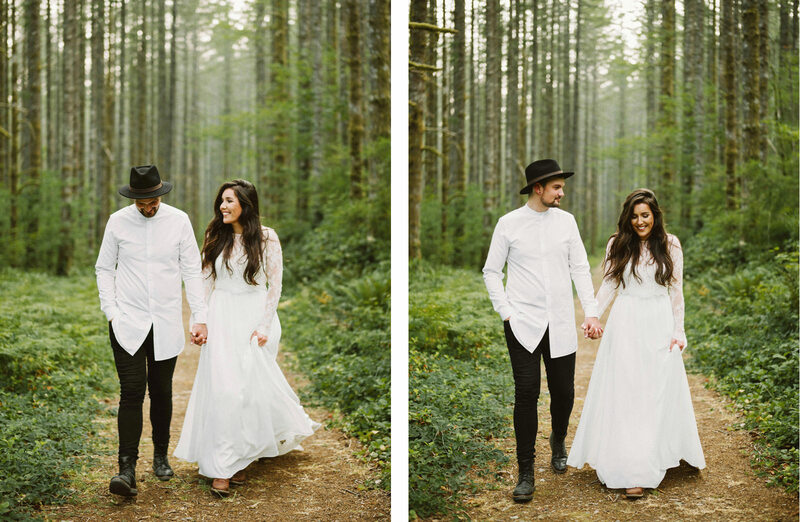 I love your style and I truly believe you captured this couple’s wedding day perfectly. 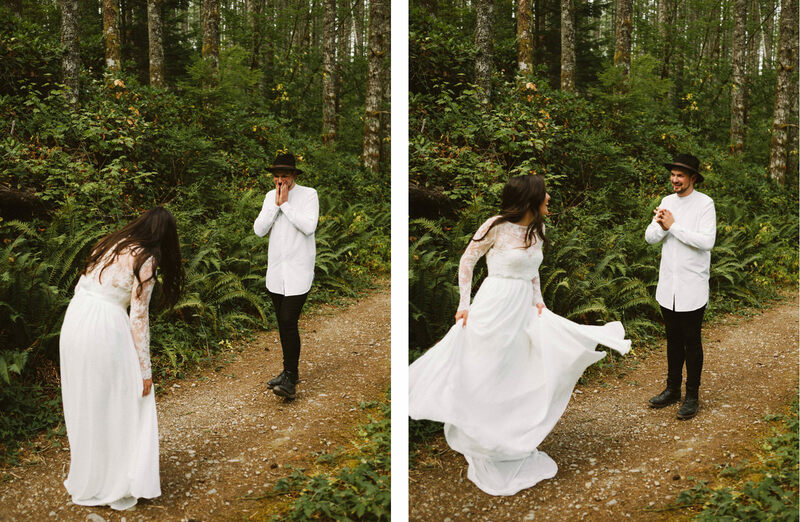 This is amazing, I can’t even take it. 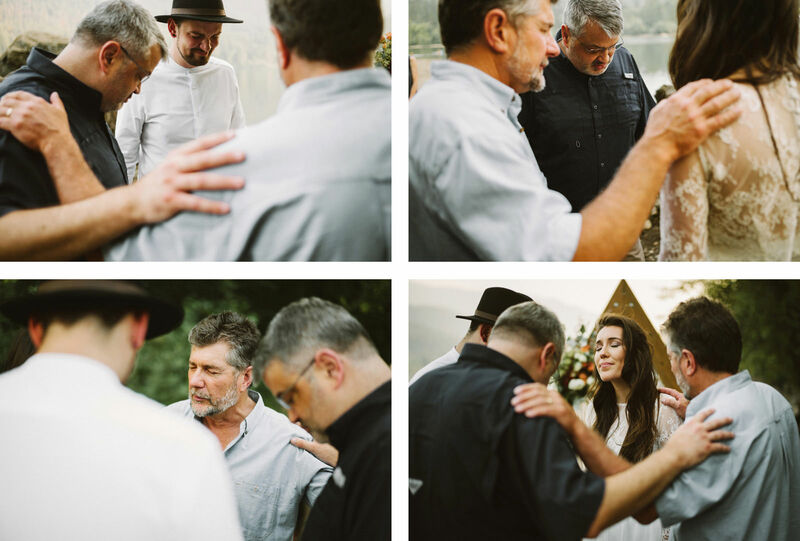 I’ve seen so many wedding photos but you’re such a legend, Benj, always giving me those goosebumps I was having while starting out. 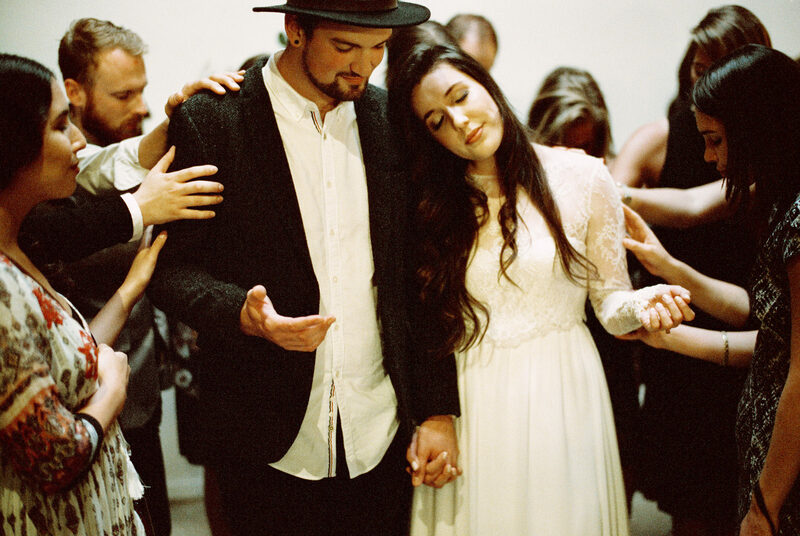 Forever a role model. 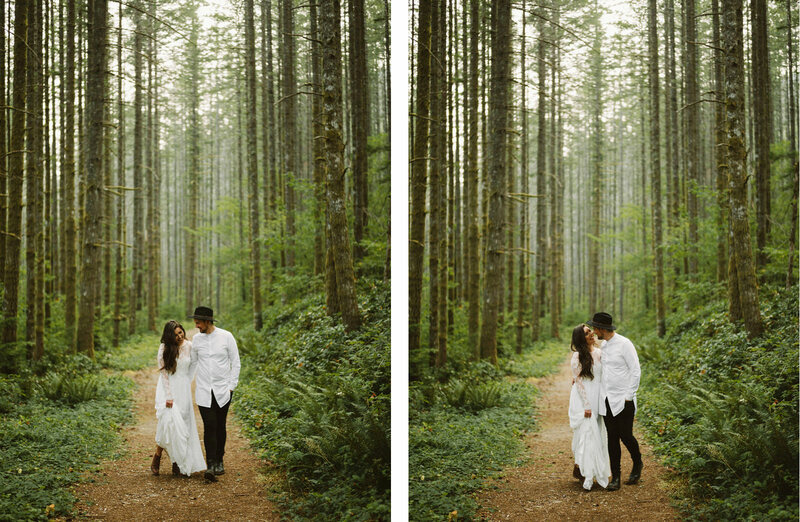 And Athena and Camron, you guys look amazing!